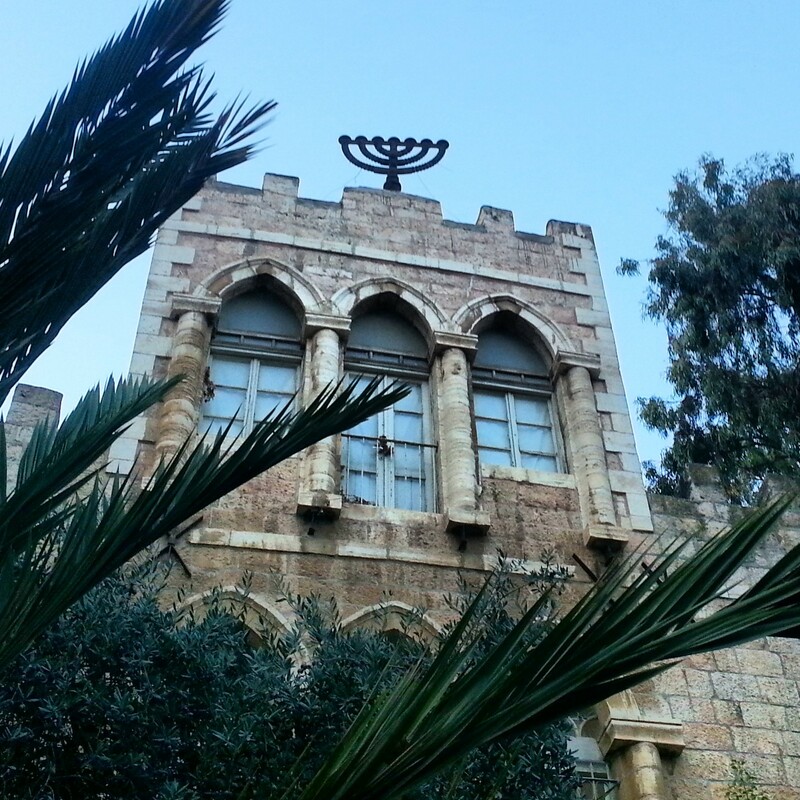 A good friend of mine is a guide who lives on Mt Scopus, in Jerusalem. When I was visiting him recently he offered to show me some of the hidden secrets of the main campus of the Hebrew University, which is based there, and naturally I was happy to take him up on the offer! 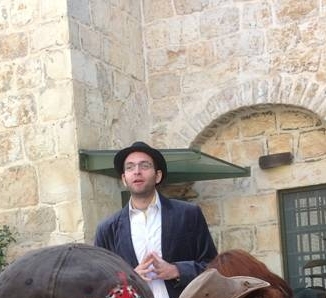 I was genuinely surprised at the range of things there are to see on the campus, and warmly recommend it as a stop for those who think they have seen all that Jerusalem has to offer. We began with a stroll through the botanical gardens. 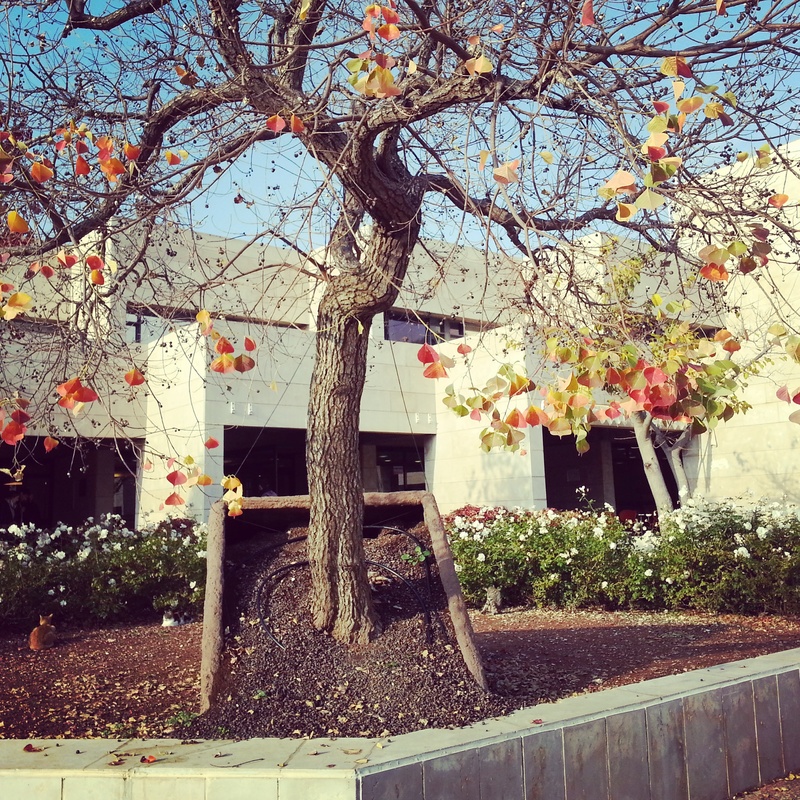 Unlike in the University of Tel Aviv, the gardens meld into the rest of the campus instead of being a separate entity. I liked that they were much more accessible. A short walk then took us to the Cave of Nicanor. 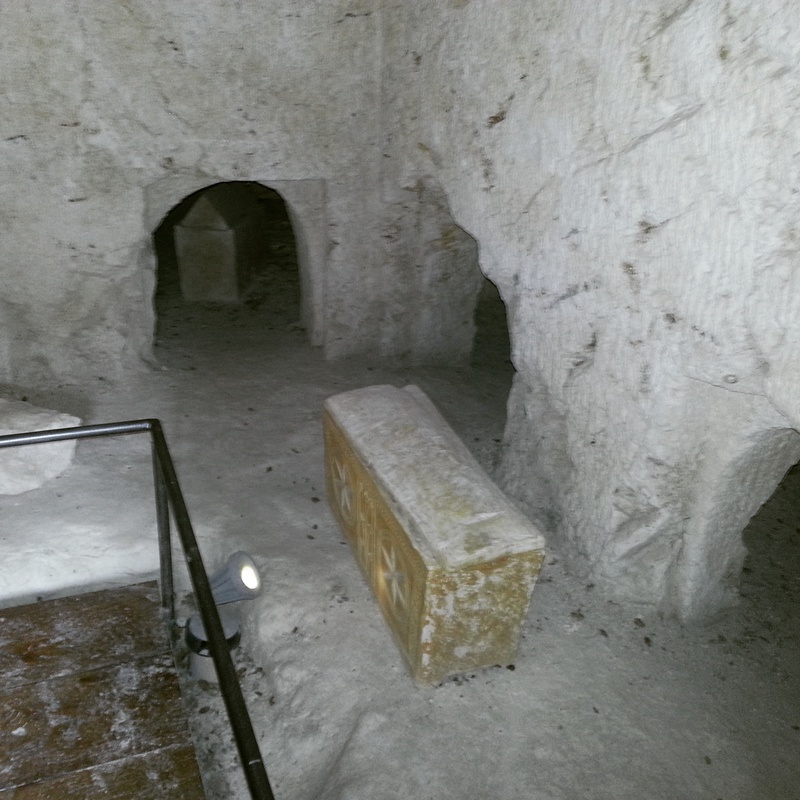 Discovered in around 1902, this is a set of Jewish tombs from the Second Temple Period. The fascinating thing is that an inscription was discovered in one of the caves referring to Nicanor of Alexandria who donated the doors to the temple. The story of Nicanor, and his difficult journey to bring the doors to Jerusalem, is detailed in the Talmud, and so it is amazing to see the story corroborated by archaeological evidence. 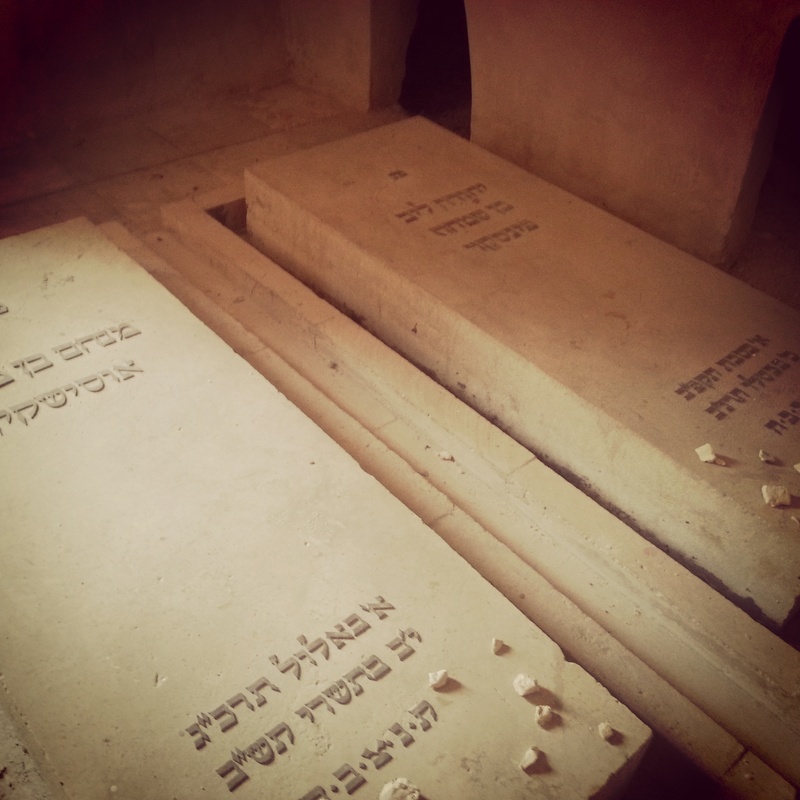 In contrast with the ancient period, nearby it is possible to find the tombs of two major Zionists – Menachem Ussishkin and Leon Pinsker. 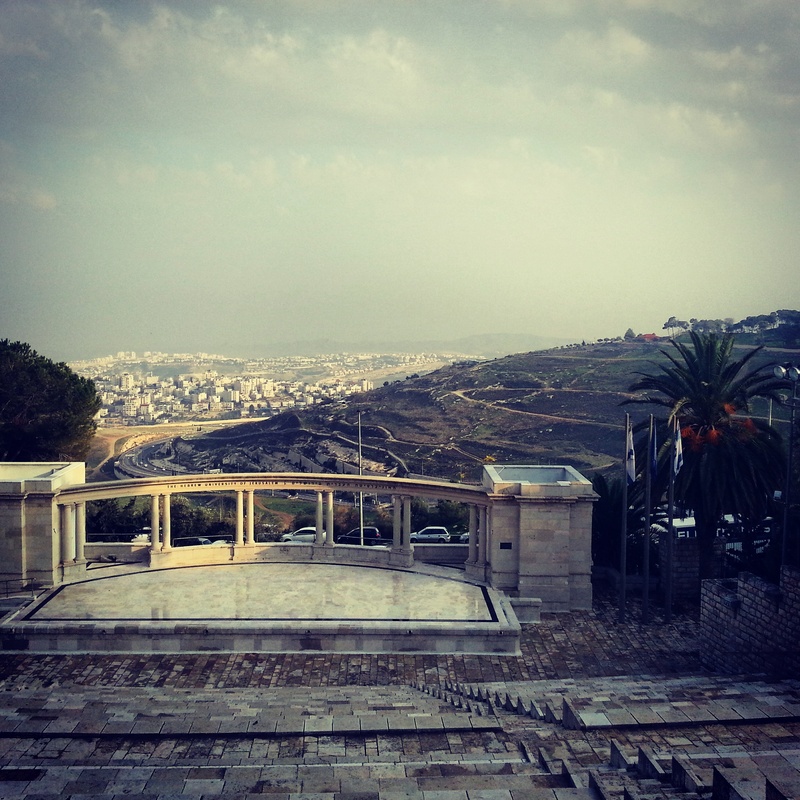 The plan had been to create the Zionist pantheon here, on Mt Scopus – combining the link with the ancient times (the tomb of Nicanor) and celebrating the modern success of the first Hebrew University. However, after the Arab-Israeli War of 1948, Mt Scopus was cut off from the rest of Jewish Jerusalem; an island in the middle of the Jordanian East. 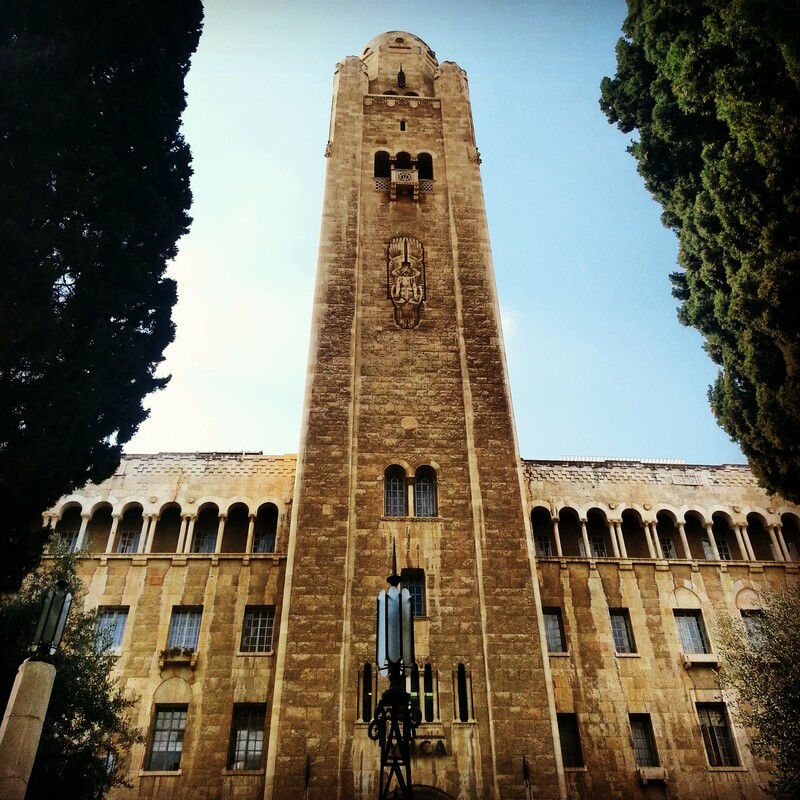 It was still possible to access the campus, but it was with difficulty, and so the Israeli leadership decided to create a new pantheon on Mt Herzl, which remains to this day. Unfortunately it left Ussishkin and Pinsker out on a bit of a limb! Leaving the graves behind, we continued through the campus. A sad reminder of the terrorist attack on the campus in July 2002 is present in the Tilted Tree sculpture by Ran Morin. The tree is at an angle as if impacted by the blast. Our next stop was in the impressive amphitheater. It was a nostalgic moment for me; the last time I was there was for a welcome ceremony when I made aliyah four years previously. This time it was a lot quieter, and we enjoyed the stunning view eastwards over the Judean desert. 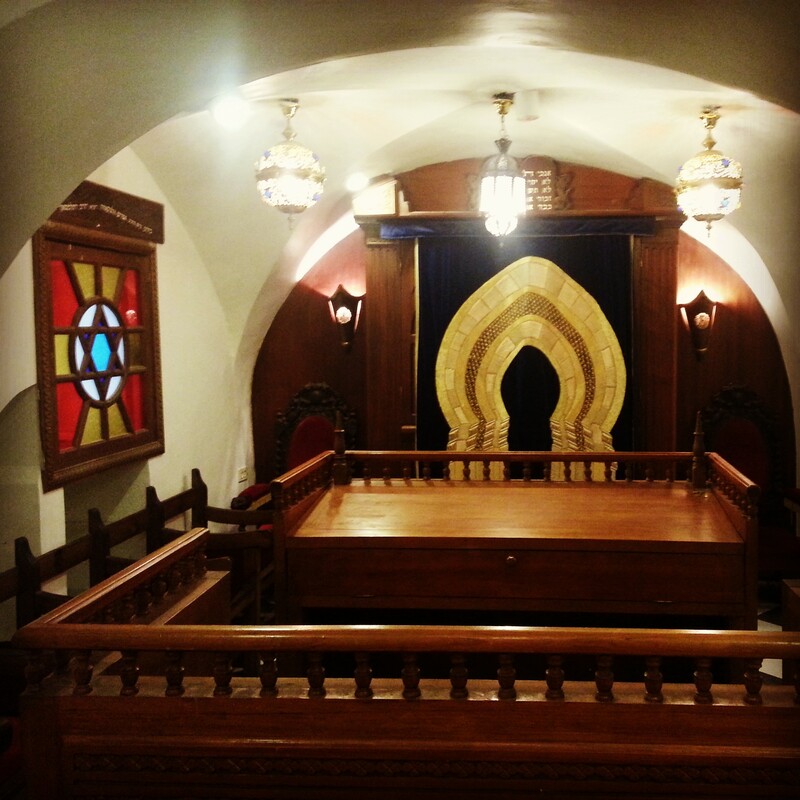 We concluded with a quick visit in the main student centre, where we enjoyed some pictures of the opening ceremony of the university (quite the event back in 1925) and then popped into the beautiful synagogue, which has a lovely view over Jerusalem. With a big thanks to Jeremy for showing me around! A strange atmosphere today, a sense of nearing the end, as we began our penultimate tour of the course. Today’s trip was dedicated to the settlement of the Jordan Valley (or specifically the area around the Sea of Galilee), with a diversion via the Harod spring which we had not managed to visit previously. On the one hand, a palpable sense of relief in the air – we have nearly made it! On the other, tension and concern as the final exams approach. And a mix of nostalgia – we have gone through a lot together. 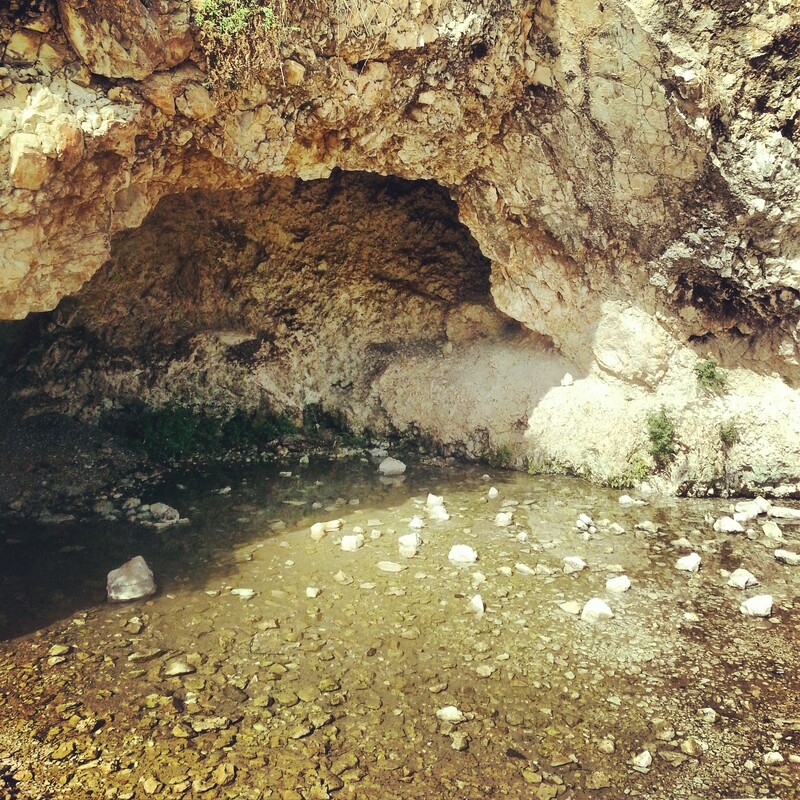 Our day began, as mentioned, at the Harod Spring, located on the slopes of the Gilboa mountain. We visited the house built by Yehoshua Hankin, who was responsible for purchasing a great deal of the land that eventually became part of Israel – around 1000 square kilometres (that’s around 250 000 acres), including the majority of the Jezreel and Harod valleys. 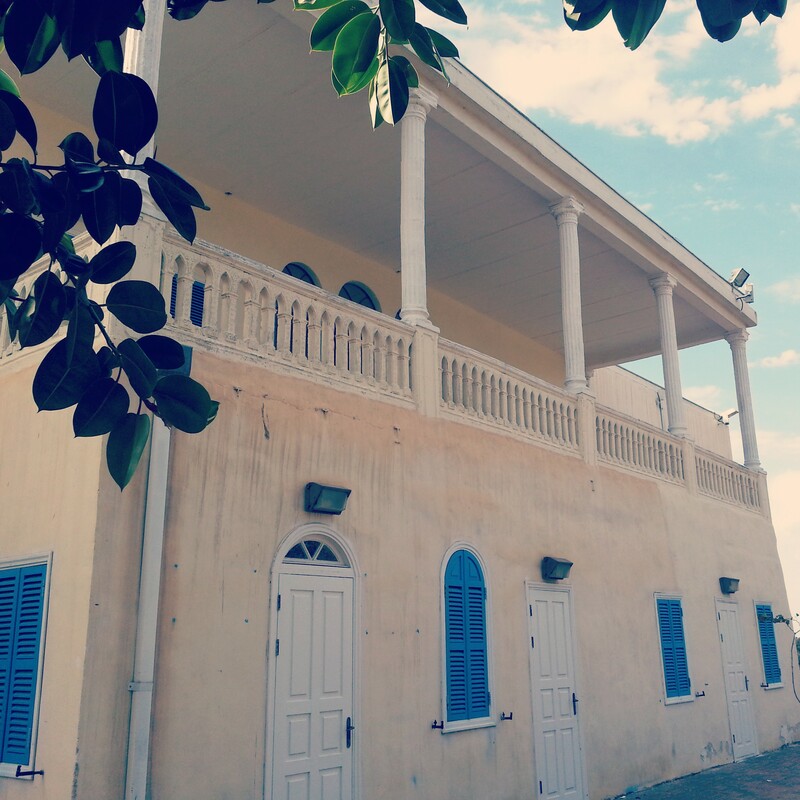 The house has recently been restored and has a short film about the life of Hankin – the film is a bit dated but the story is very impressive. We then descended to the Harod spring itself, the site of the biblical story where Gideon selected his warriors based on their drinking style, before going out to vanquish the marauding Midianites. 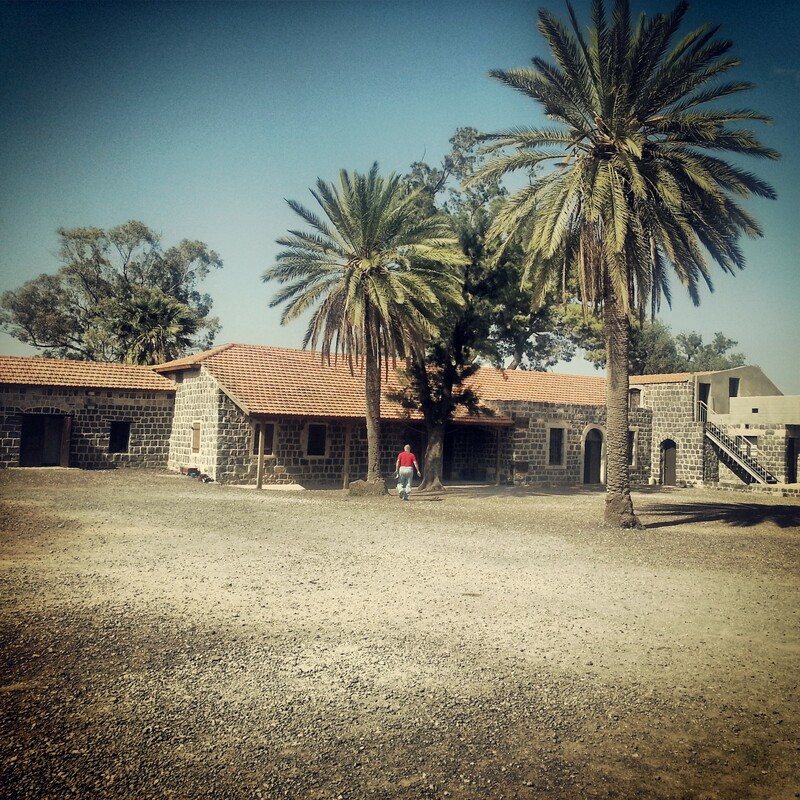 Leaving the biblical period behind us, we drove east to the site of ‘Old Gesher’, which until 1948 was the Gesher kibbutz. 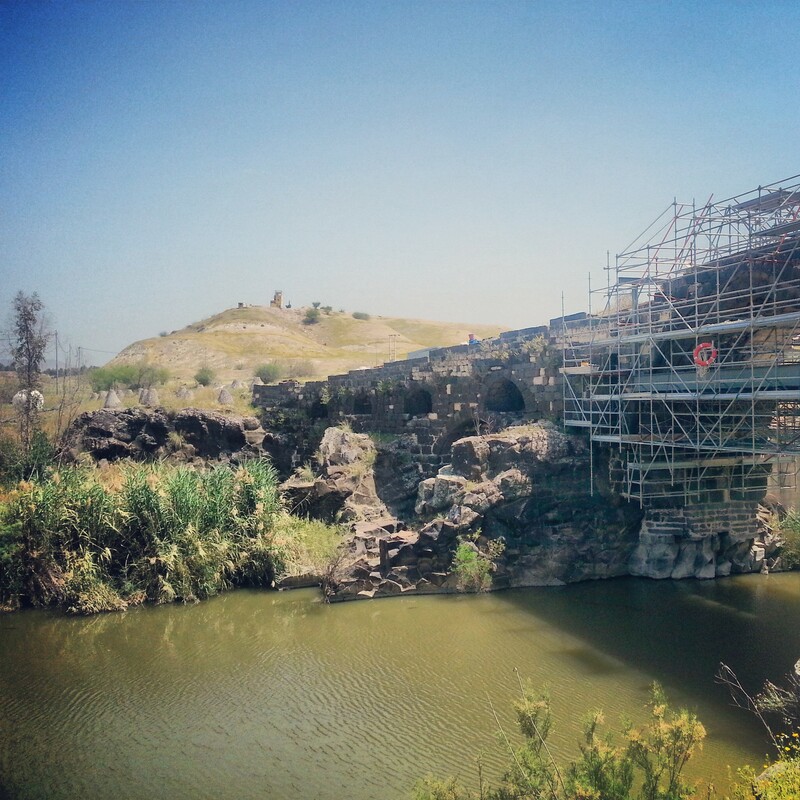 Gesher means bridge and here are three bridges over the Jordan river, with one dating to the Roman period (with Mamluk repairs on top). The border with Jordan runs right down the middle of the river and we descended to the river (under the watchful eye of the nearby Jordanian border position) to check out the bridges and hear about the battle for the site in 1948. Nearby are the ruins of the Naharayim hydroelectric plant, the first such structure in the Middle East and a remarkable feat of engineering for the time. Built across the border of what was then the Mandate of Palestine and Transjordan, it was an example of the cooperation between the early Zionists and King Abdullah of Jordan; sadly this did not last past the 1948 war and ever since it has been lying in ruins. The electricity company have built a small interactive museum about the plant; I had low expectations but it really was rather good. From Gesher, we headed north to the Kinneret ‘courtyard’. 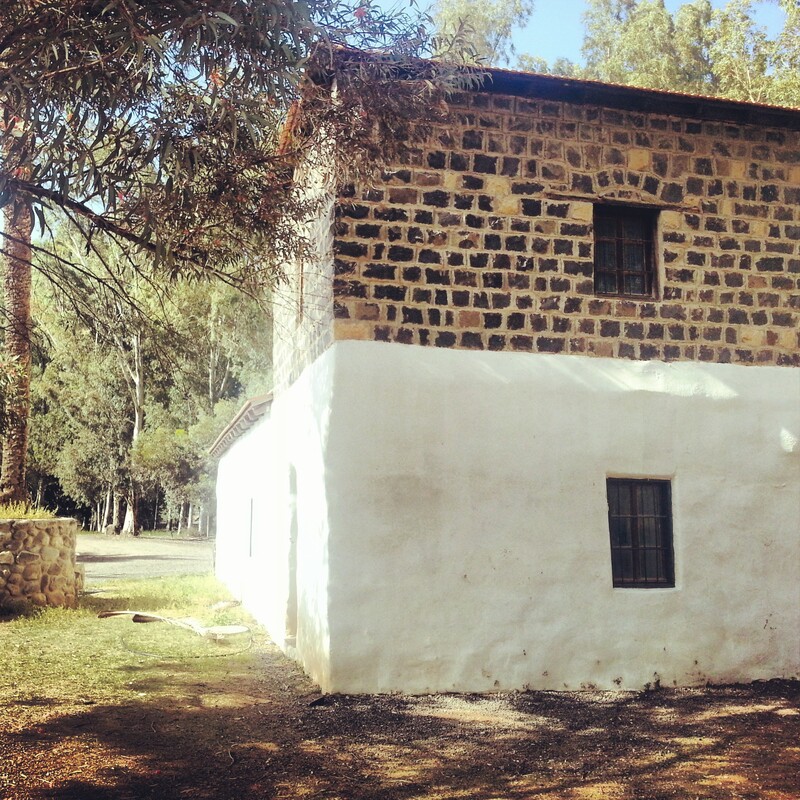 Here the World Zionist Organisation established a training farm at the beginning of the 20th century, to help all the young and eager pioneers learn how to farm the land before going out to set up for themselves. The passionate and ideological young socialists who arrived here formed the backbone of what was to be the future state; indeed it was here that institutions such as the kibbutz; institutions such as the Hagana, Hamashbir and the Labour Union first sprouted. One of the most famous inhabitants is Rachel Bluwstein (normally just referred to as Rachel or Rachel the Poet), a young pioneer who led a short and tragic life, leaving behind here a large amount of beautiful poems, many of which have become part of the Israeli literary and indeed musical canon. Speaking of the kibbutz, our next stop was slightly further south at Umm Juni. In 1910 a small group of socialist ideologues arrived here, having been offered the land by the WZO. Remarkably, through their revolutionary communal living model, they were able to make a profit in the first year. 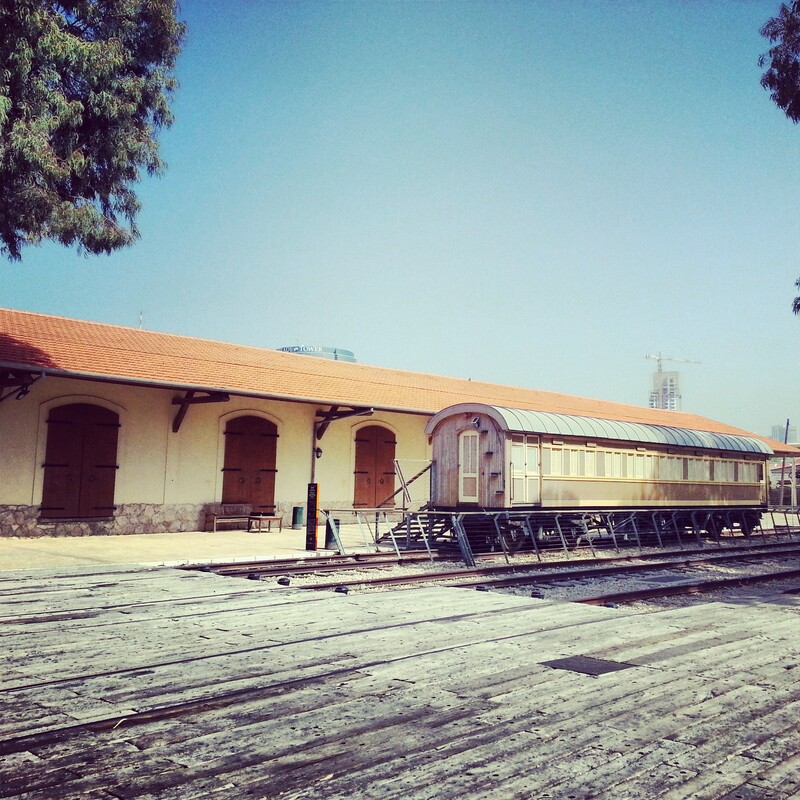 And so the first kibbutz was born, established just next to the area called Umm Juni, and named Deganya. We headed back north, to the site known as the Motor House. 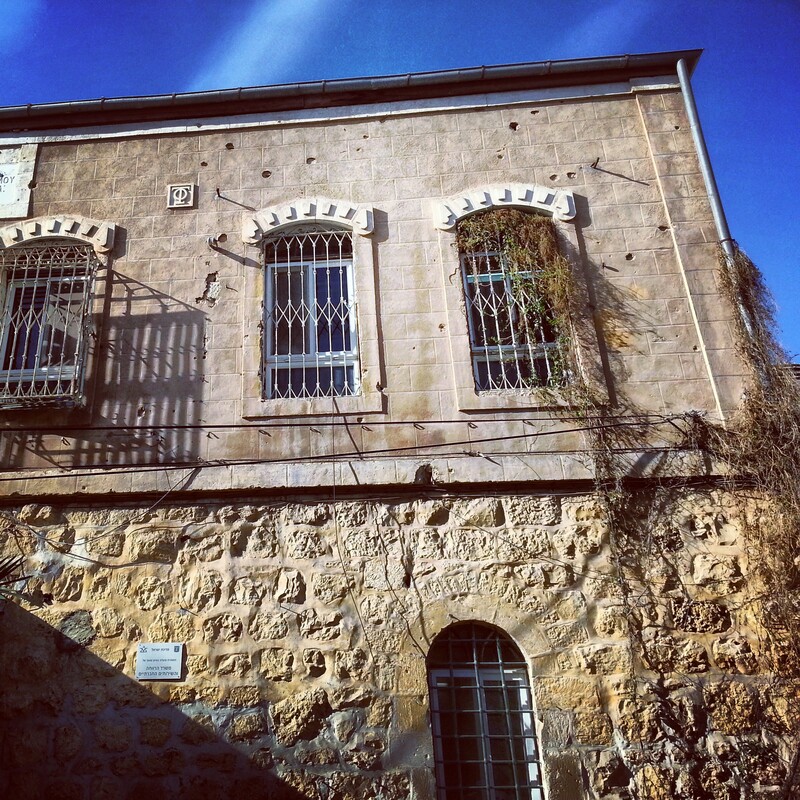 The building housed a pump that irrigated the surrounding fields, but of more interest was the story of the Yemenite immigrants who were housed here after moving to Israel in around 1912. They were eventually moved on in order to allow graduates of the Kinneret farm to establish a new communal settlement on the land, and a significant proportion of the group were not happy to leave. The story only became public knowledge in the past 15 years or so and caused quite a big deal of controversy in Israel. We walked from the Motor House to the shore of the Sea of Galilee and our final site for the day, the Kinneret Cemetery. In a beautiful shaded setting next to Israel’s largest freshwater lake is housed the pantheon of Labour Zionists, the graves of Berl Katznelson, Rachel, Moses Hess, Nachman Syrkin, to name just a few. 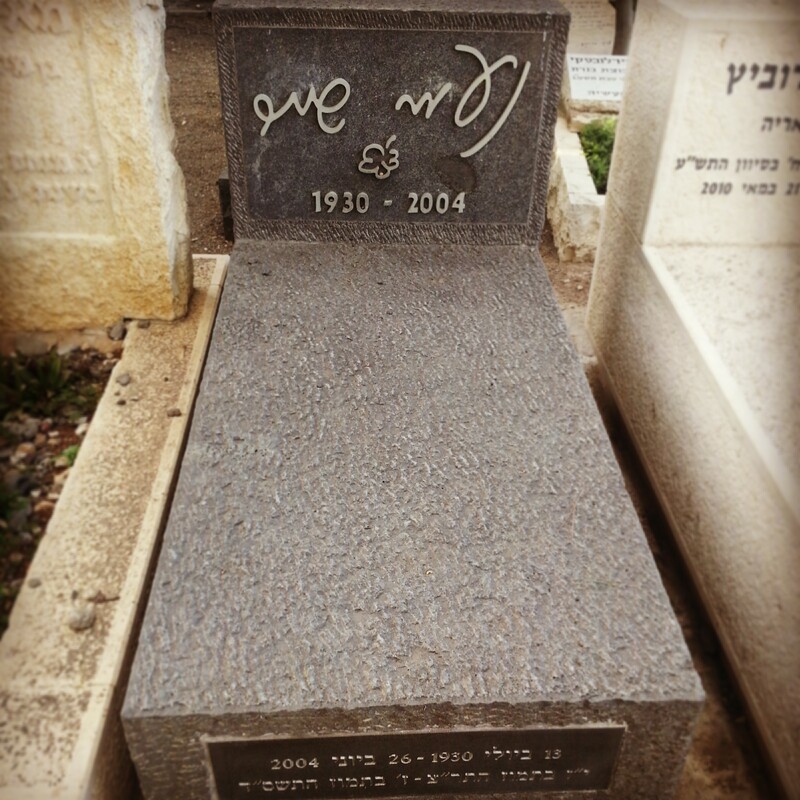 Together with these are some tragic stories associated with the struggle of the pioneers to adjust to their new environment; or on a completely different note, the grave of Naomi Shemer, the singer of ‘Jerusalem of Gold’, who was born at Kinneret. We began our drive home to Tel Aviv, and in addition to the other emotions of the morning, we all began to feel a certain amount of nostalgia. Just one more tour remains, and it should be quite a fun one. What is the destination? You will have to wait until next week to find out! Today’s tour was dedicated to various sites along the southern coastal plain, culminating in a jump into the capital of the Negev desert, Beersheva. A long day, as we move forward in a final push towards the final exams and ensure that we fit in all the necessary sites in the time we have remaining. Our day began at the quaint town of Mazkeret Batya, founded in the late 19th century by Baron Rothschild and named for his mother. We began our visit in the cemetery which also houses the reinterred remains of the great Rabbi Shmuel Mohilever, one of the forerunners of the Zionist movement (and who pre-dates Herzl in his work for a Jewish state). 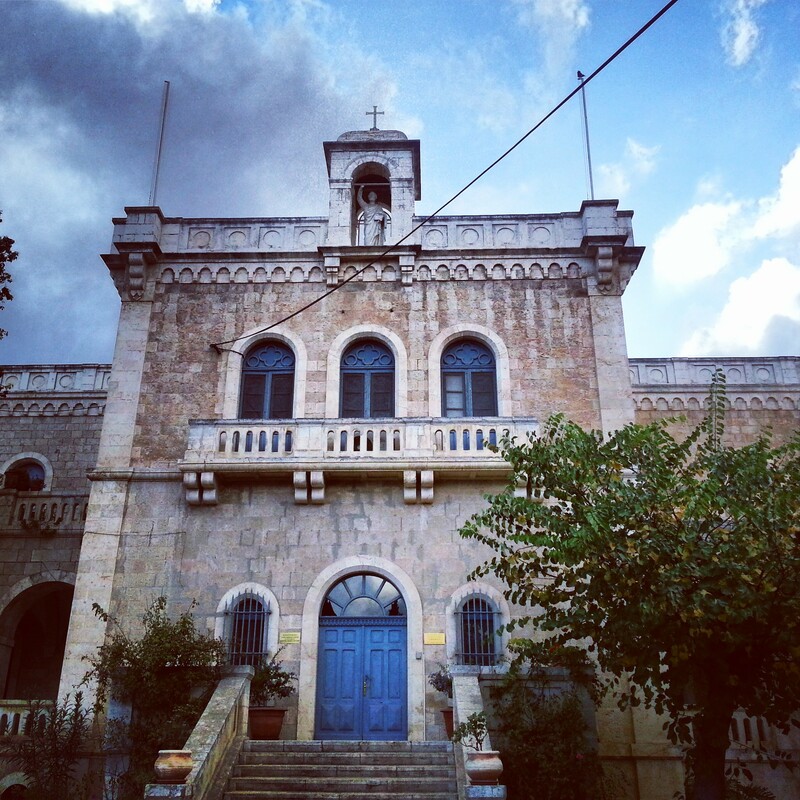 We continued into the centre of the old town, stopping at the museum, viewing some of the old buildings and hearing the stories of their residents, culminating at a visit to the Shmuel Mohilever museum. The museum is small but does a good job of recounting the story of a very impressive man, and was the highlight of our trip to Mazkeret Batya. 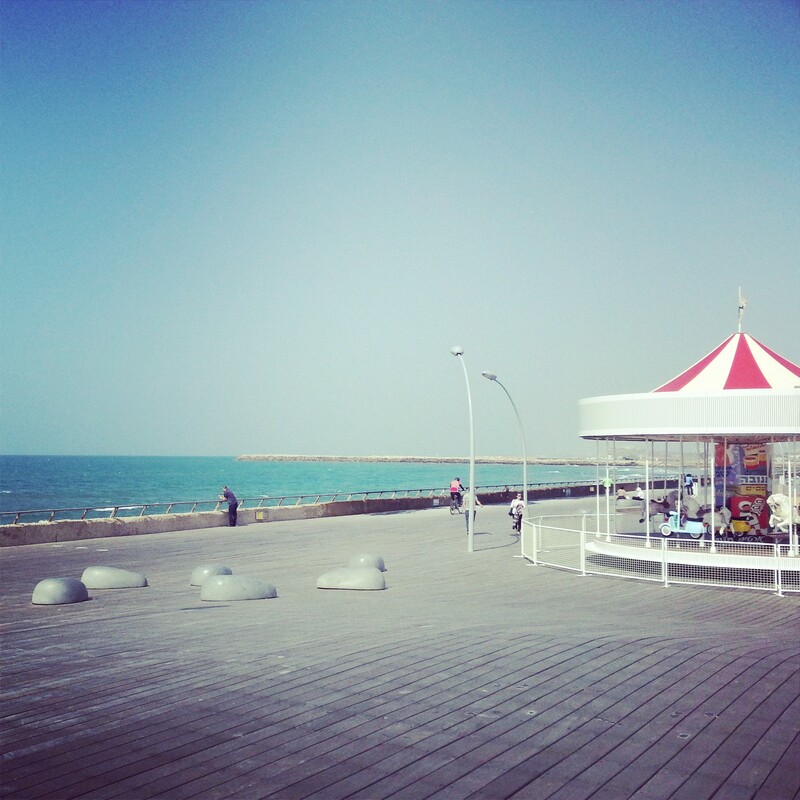 We then headed south to the coast, and to the city of Ashdod. 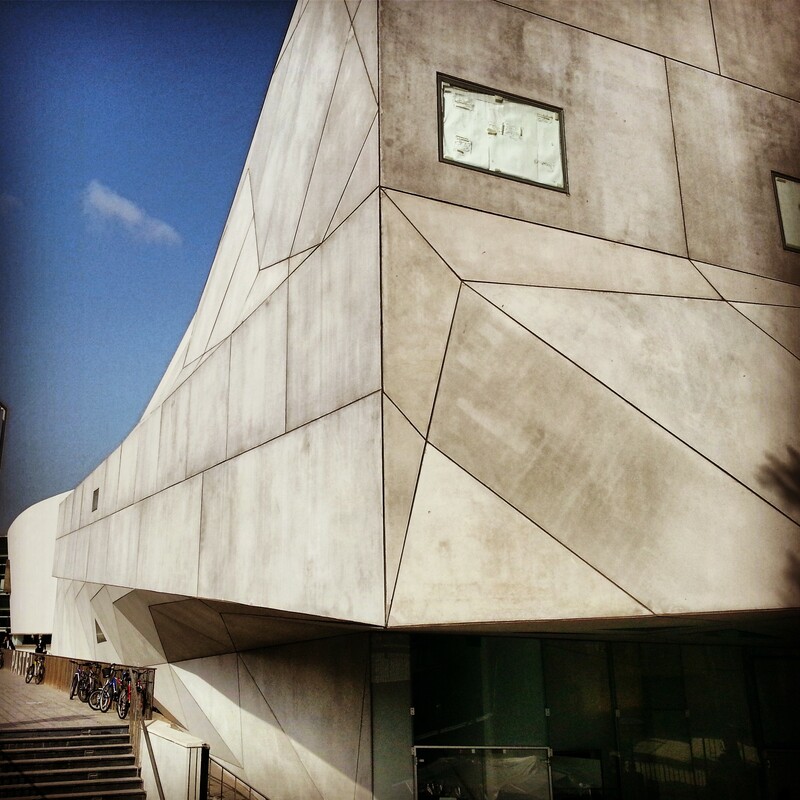 Here we began our visit at the ironically named Museum of Philistine Culture. But we quickly discovered that the modern association with the word Philistine is most inappropriate – these were a most cultured people who brought many interesting customs and craftwork to the region, with Ashdod being one of their biggest cities. 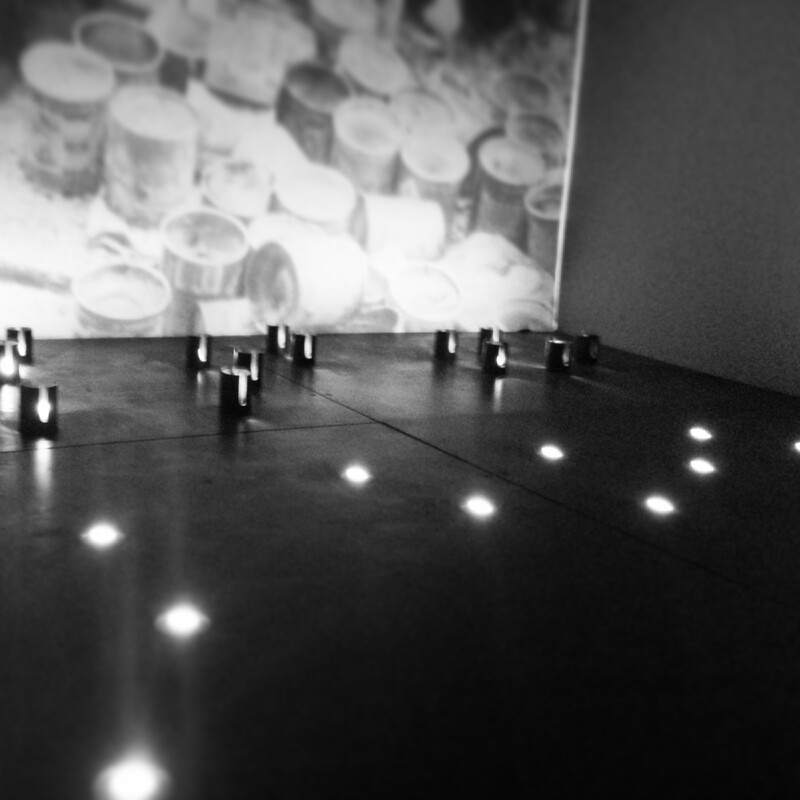 The museum is small but extremely well done. We enjoyed the opportunity to reenact Samson’s destruction of the Philistine temple, and various other interactive exhibits. We concluded the visit with some tasting of ‘Philistine food’ and dressing up in ‘Philistine costumes’. The latter activities are targeted at children but I can assure you that adults are equally able to enjoy themselves! 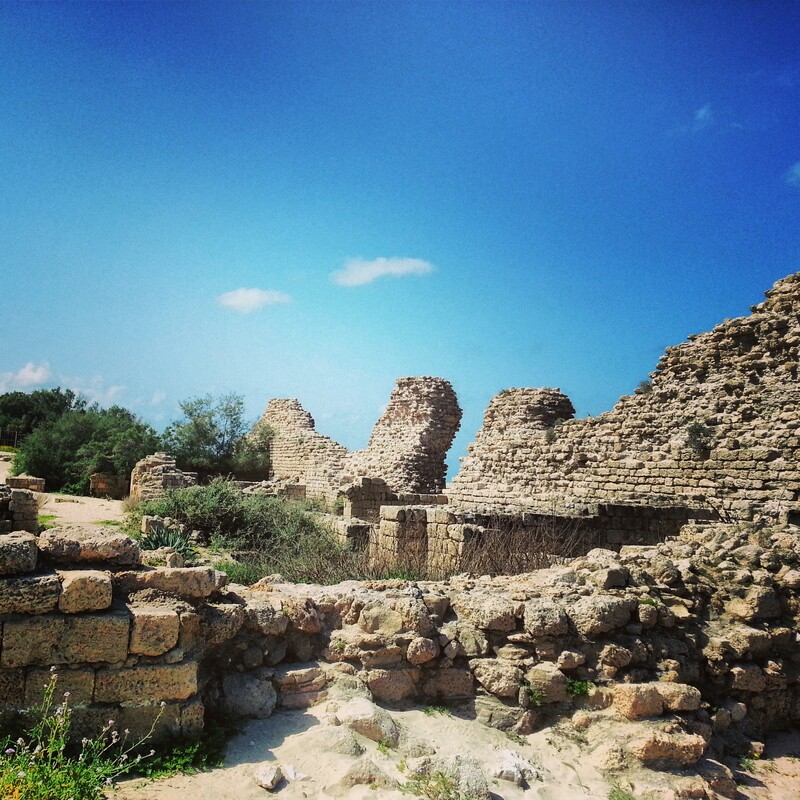 We headed further out towards the coast, to the impressive remains of the Ashdod Yam fortress. Dated to the Ummayid period in the 7th century, it seems that it was constructed to help protect local residents from sea pirates who would launch raids in order to kidnap people for the slave trade. Our final stop in Ashdod was at the visitors’ centre at the port. 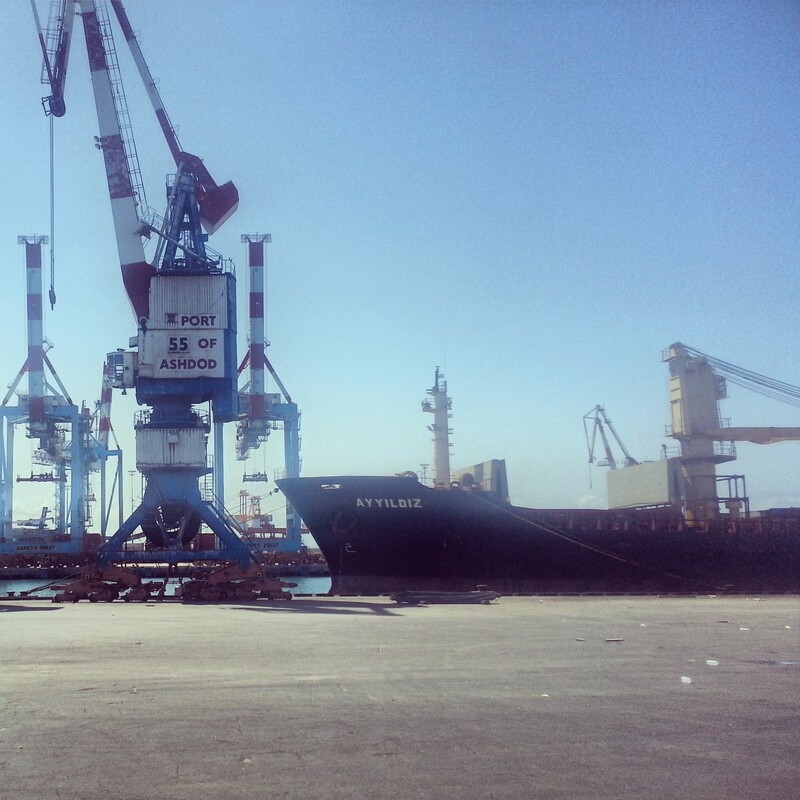 Built in the 60s, and rendering the ports at Tel Aviv and Jaffa irrelevant, Ashdod port is now a key part of Israel’s economy. The visitors’ centre was quite fun with all sorts of interactive quizzes, and we were then driven around the port area to marvel at the huge ships and their accompanying machinery. 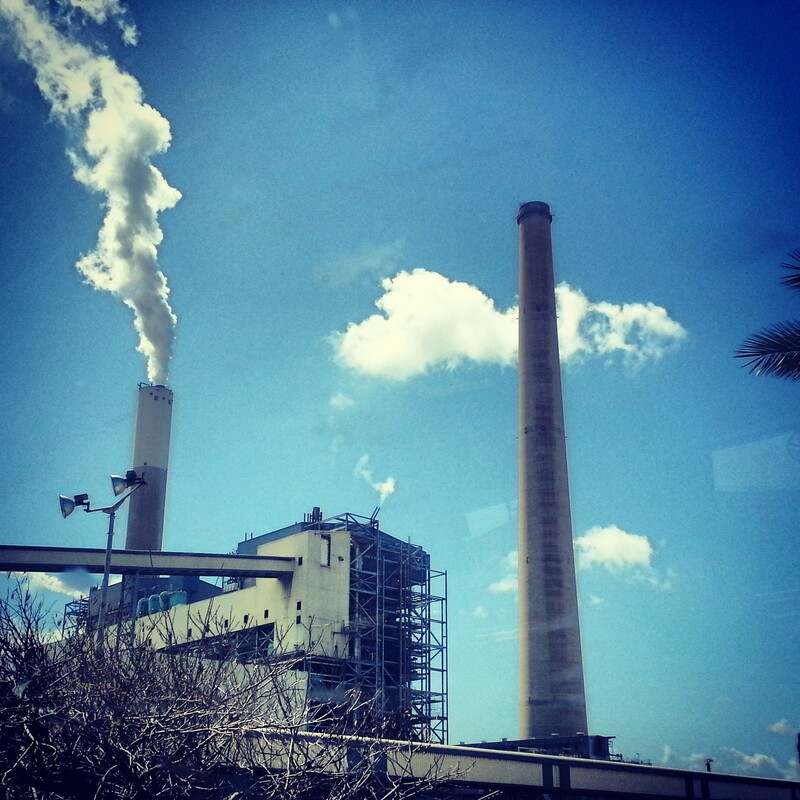 We drove south to Asheklon, and a visit to the Rutenberg Power Station. This huge facility provides about 20% of the electricity for Israel and the Palestinian territories. 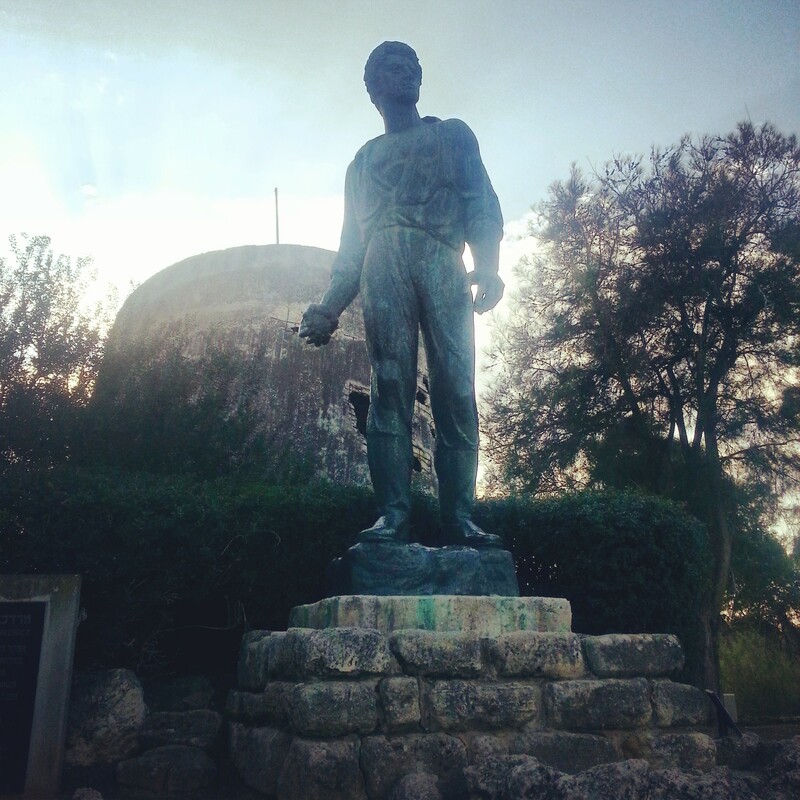 We drove around the site and learned also about the history of electricity in Israel – Rutenberg (after whom the site is named) had the vision to electrify the country and succeeded in doing so – a hugely impressive feat that helped drag the area into the 20th century. We then traveled south to Beer Sheva, the capital of the Negev desert and actually the geographical centre of the country. 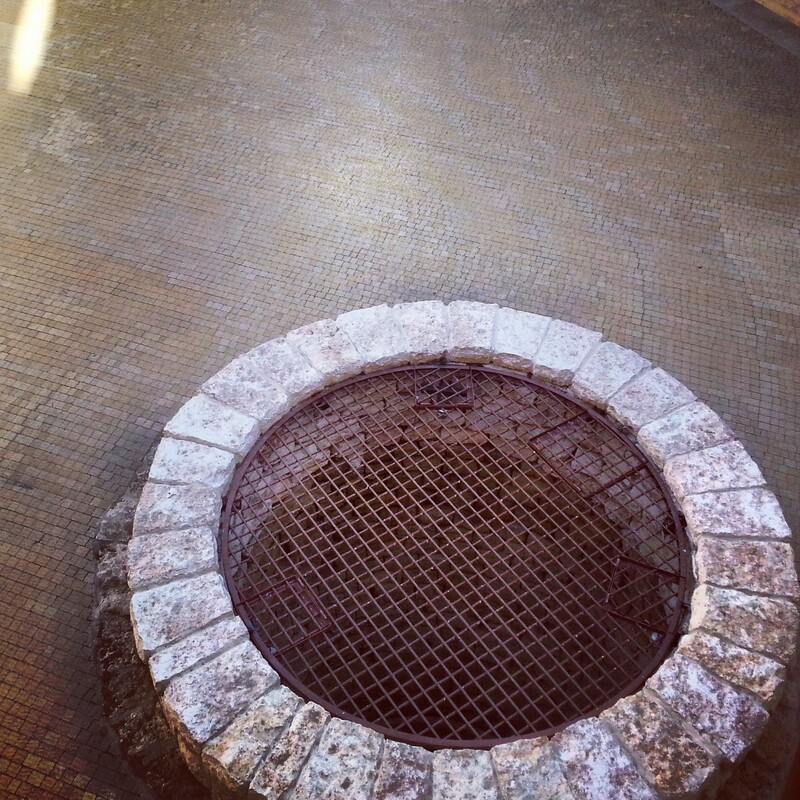 We first visited the relatively recently opened Abraham’s Well site, where a 3D film that tells the story of Abraham (who first settled in the area of Beer Sheva, according to the Bible); on the film’s completion it is possible to visit an ancient well which may perhaps be connected to the one Abraham dug on arrival. 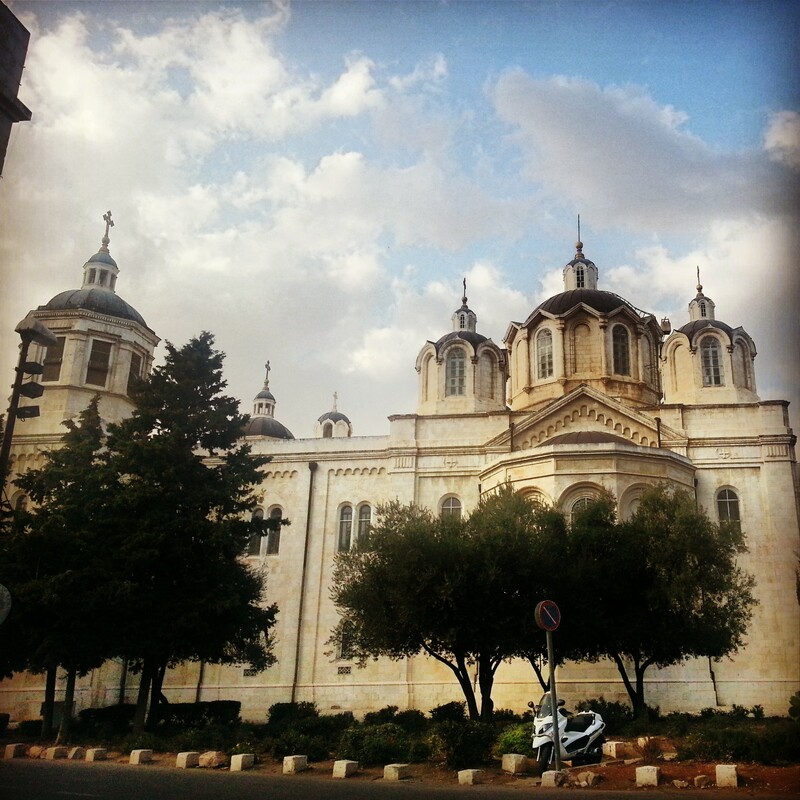 We continued with a wonder through the historical centre of the city (although it is not so old – the city was only reestablished in 1900 under the Ottomans). 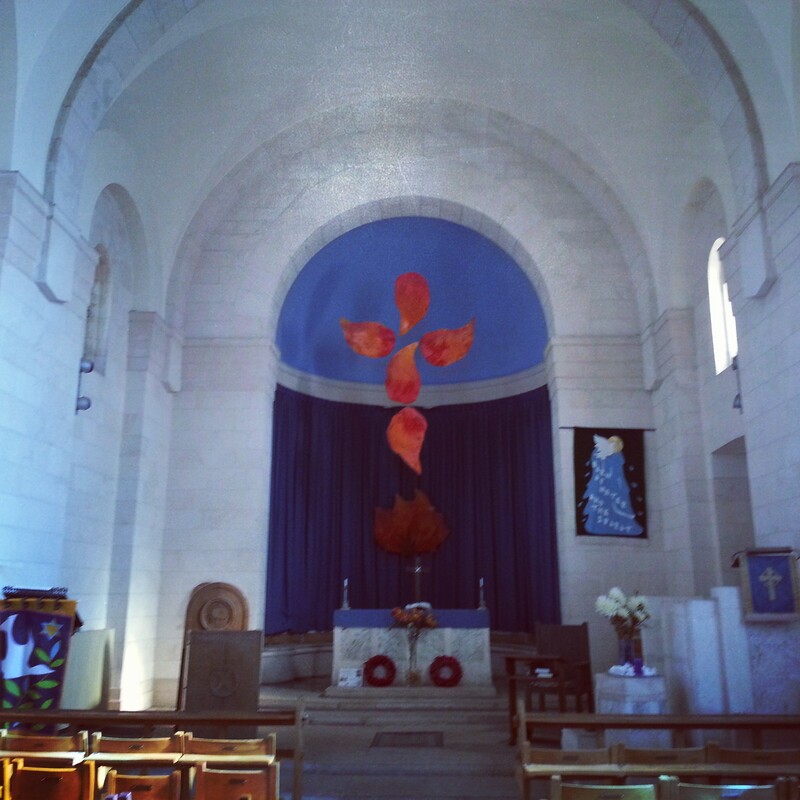 We heard the stories of the difficult battle for the city between the British and the Turks in 1917, and visited both the British military cemetery and the memorial for the Turkish fallen, together with a quite magnificent mosque which was constructed early in the 20th century. With the setting sun, we finished the day at the Monument to the Negev Brigade, a unit of the Palmach who were instrumental in protecting the vital water pipeline that supplied the southern Jewish settlements in the 1940s, and also in securing the Negev all the way down to Eilat in 1948. 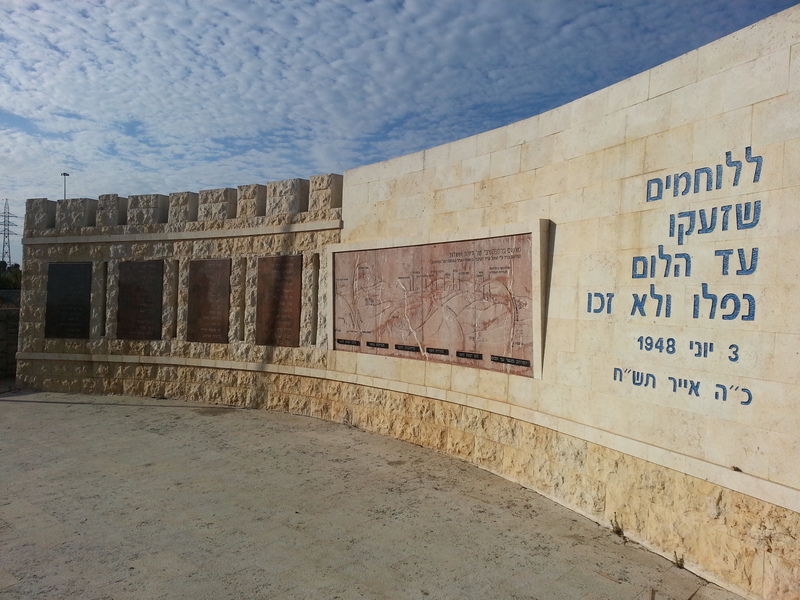 The monument commands an impressive view over the Negev and the southern parts of the Shfela, and Mt Hebron. The symbolism employed is both impressive and meaningful, the brutalist architecture jutting out from the peaceful countryside as a reminder of the losses in the battles for this area. A moving conclusion to a long but as always fascinating day. Once more we traveled to Jerusalem for today’s tour, with the focus on the city as part of the wars of 1948 (when it was split) and 1967 (when it was unified). 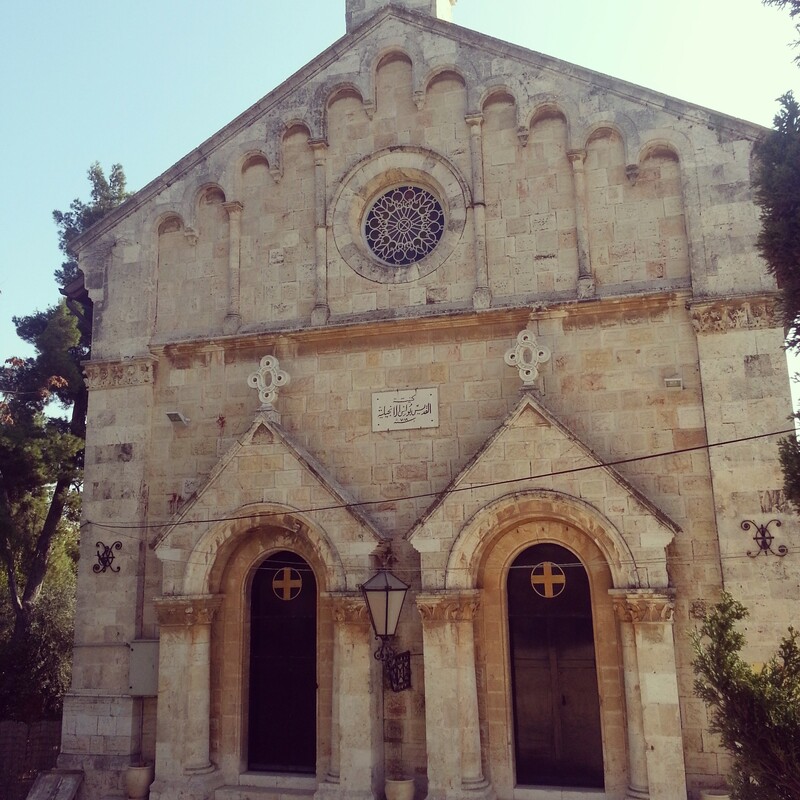 Our day began at the Greek Orthodox monastery of San Simon. 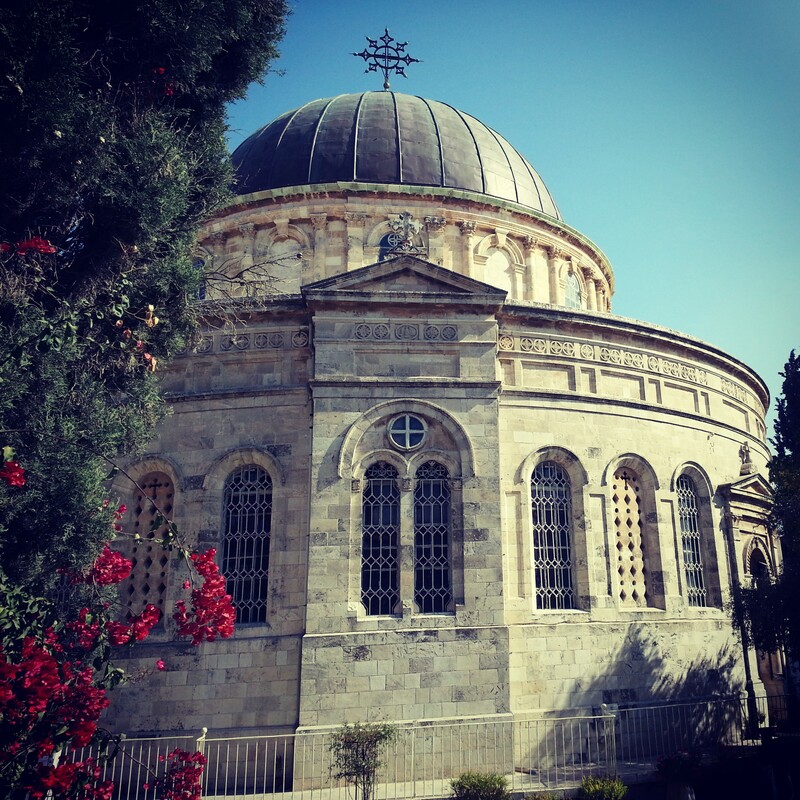 This is believed to be the site of the home of Saint Simeon, the priest who performs the redemption ceremony for Jesus as described in the Gospel of Luke, and prophesies his future greatness. Of more relevance to today’s visit, we learned that this was the site of a major battle in the 1948 war. There were four concentrations of Jews in south Jerusalem at the time: Ramat Rachel kibbutz, Mekor Haim, Talpiot and Arnona. 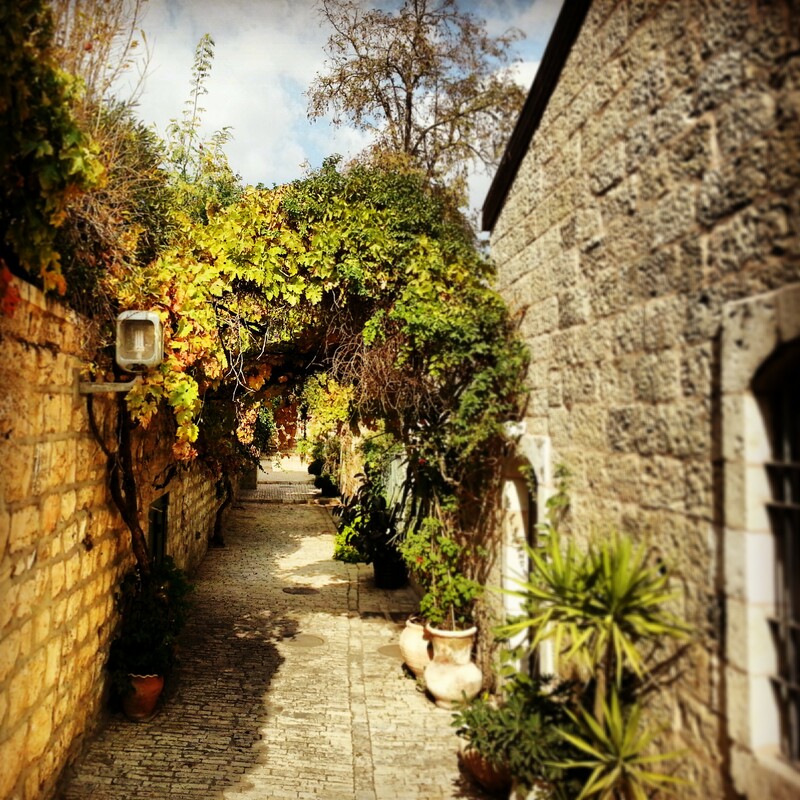 The control of the Katamon neighbourhood around the monastery by the Arabs meant that these neighbourhoods were cut off from the rest of Jewish Jerusalem and effectively under siege. Taking Katamon would enable Jewish control of the whole western part of the city. The battle, which took place in April 1948, was long and ferocious. Ninety percent of the Israeli force was wounded, several mortally so. At one point they were about to give up and withdraw, but the Arab force beat them to it. Through stoicism, heroism and quite a bit of luck (these themes repeated themselves throughout the war), the battle was won and the southern Jewish neighbourhoods had their siege lifted. We continued south to Kibbutz Ramat Rachel, where the relief was short-lived. Only a few days after the Battle of San Simon the kibbutz was surrounded by Jordanian and Egyptian troops and subjected to an immense bombardment. The kibbutz members held on bravely for three days but eventually had to evacuate. Israel did not want to give up the kibbutz, and the battle continued, with the site changing hands three times before eventually being held by the Israeli troops. 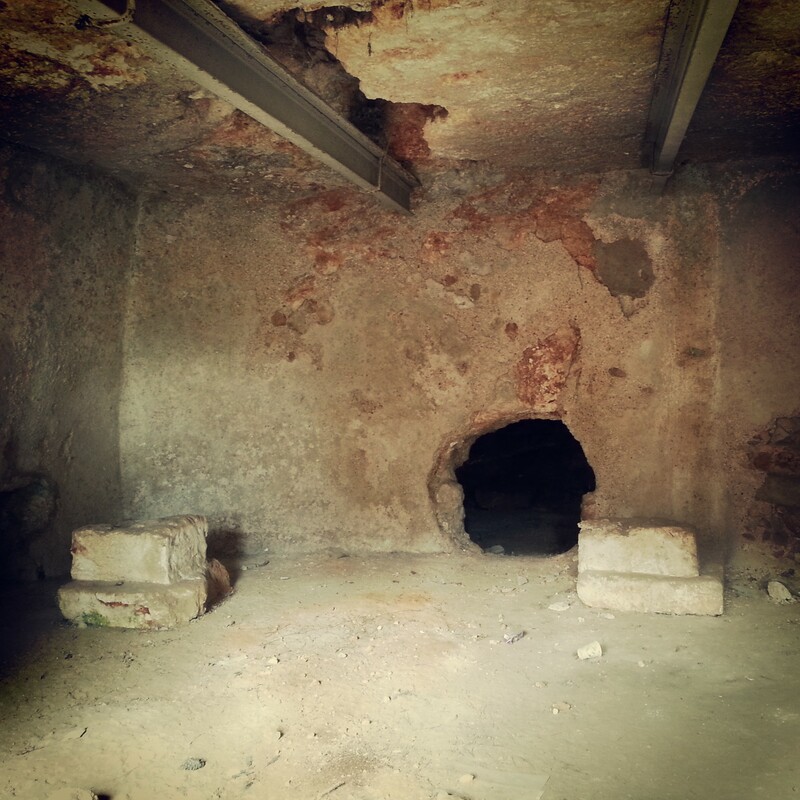 While at Ramat Rachel, we also explored the archaeological excavations. Researchers have discovered remains of a vast palace complex from the 8th century BCE (the First Temple Period) including impressive irrigated gardens. 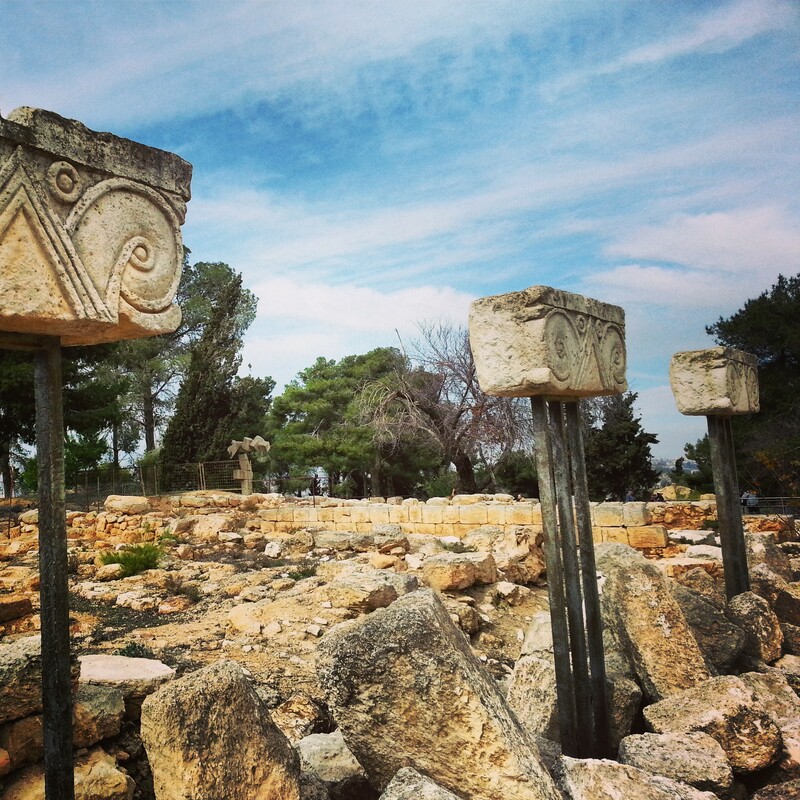 The site continued to be an important administrative centre into the 3rd century BCE. On route to our final stop for the day, we drove along parts of the ‘City Line’, the border between Israel and Jordan for 19 years between 1948 and 1967. It is crazy to think that there was a physical border fence along the middle of the city for so long. Although it was mostly quiet, every now and again Jordanian snipers would shoot over the fence causing several Israeli deaths and even more injuries. Our last site was at Ammunition Hill, the memorial site for all soldiers who died in the battle for Jerusalem during the 1967 Six Day War. There was an excellent film here about the battle for the city; the capture of the Old City was a very emotional moment for Israelis and Jews around the world, having been forbidden entry to their holiest site for 19 years, and the film conveyed this well. 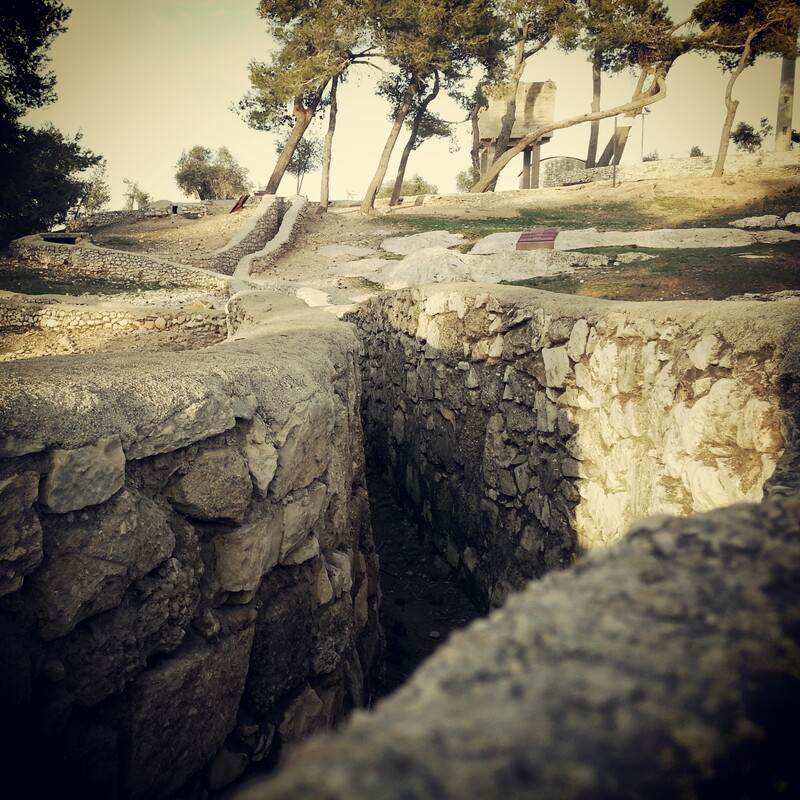 Ammunition Hill was the site of a particularly difficult battle as the Israeli troops pushed east in an attempt to reach Mount Scopus, which had been an Israeli enclave within Jordanian territory since 1948. An intelligence error meant that the Israeli force was underprepared and under-resourced; after a gruelling 4 and a half hour battle over a very small area, and many lives lost, the hill was taken, paving the way for the eventual capture of the whole city. 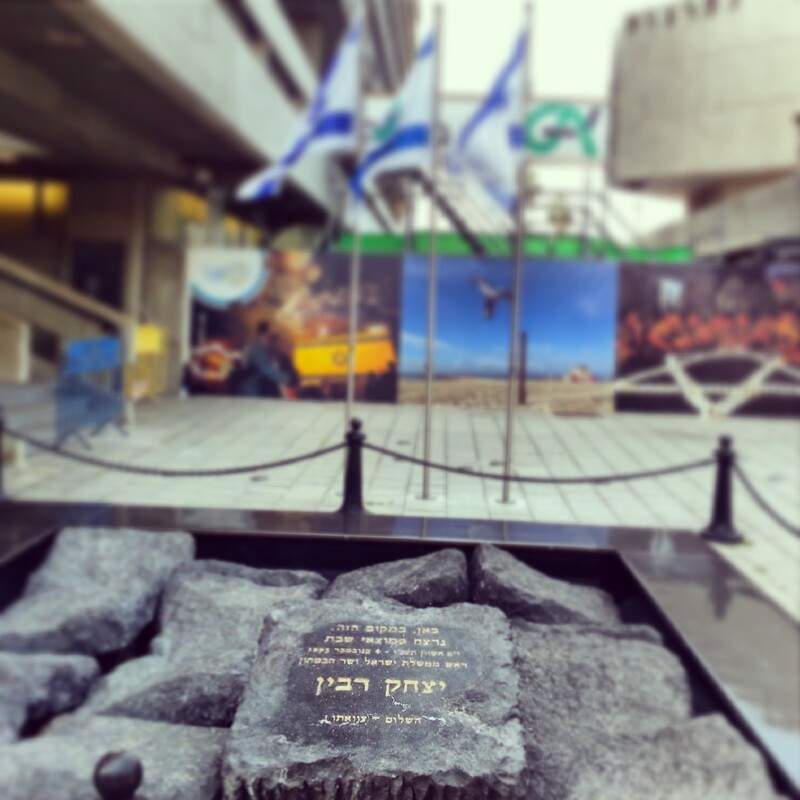 With this, our series of tours focused on Israel’s wars has come to a close, together with the accompanying tragic stories of promising young lives cut short and remarkable bravery. In 2014, it is so easy to take Israel’s existence for granted; these tours have served as a reminder as to how close it came to extinction on so many occasions. Truly an extraordinary tale. 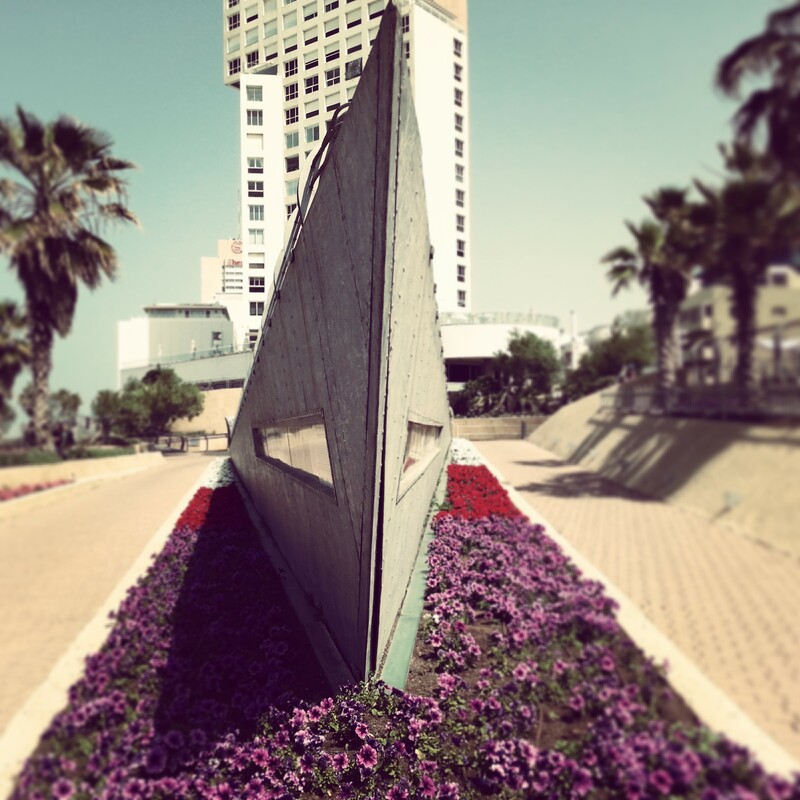 Having concluded our study of Israel’s wars in class, we were now to go out into the field to get a better idea of the story behind the 1948 Israeli War of Independence, the longest and most difficult war that has been fought in Israel’s history, with 1% of the population killed in action. 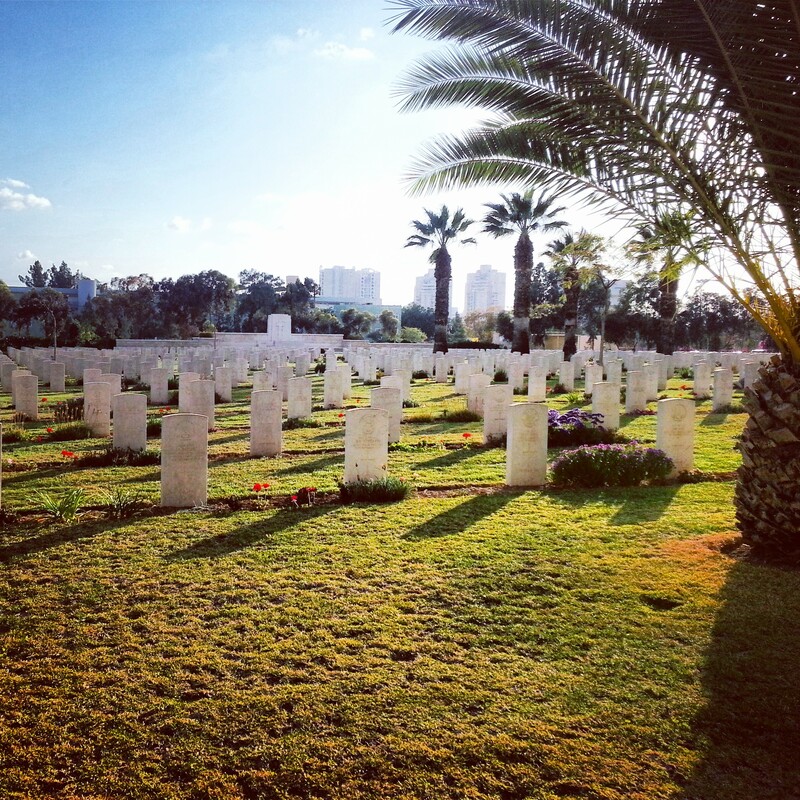 Although we have been touching on the wars in our tours around the country, these two trips are dedicated to two of the most serious fronts of the war: the road to Jerusalem and then the south of the country. Both Jerusalem and the south were cut off from the rest of the country and were effectively put under siege; difficult and costly battles were fought to break through. Today’s tour was dedicated to the road to Jerusalem in 1948; next week we shall explore the Southern Front. We began our day near the small village of Shoresh, just off route 1, in the Masrek Nature Reserve. Hiking along the ridge, we reached a viewpoint over Shaar Hagay, known by many by its Arabic name, Bab-el-Wad. Both translate as ‘the Gate of the Valley’. Here, the road to Jerusalem ascends through a narrow gorge. Our guide explained that the local Arabs soon realised it would be more effective to lay siege to Jewish population areas rather than to attack them outright, with many key roads passing through areas of large Arab population. 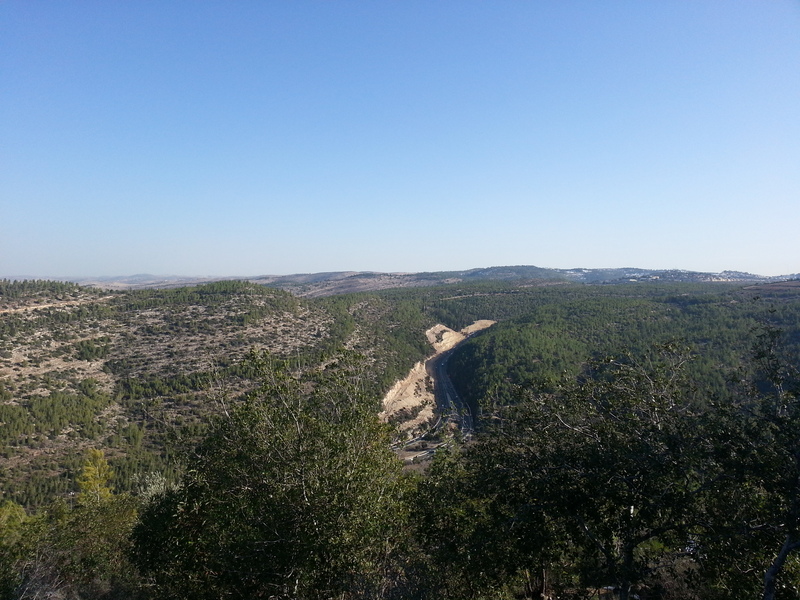 This area of the Jerusalem road was particularly vulnerable with its steep ascent causing supply lorries to struggle along at around 10km/h, sitting ducks for the assembled forces on the slopes of the valley. The Israelis tried many different methods to break through – using convoys, then adding primitive armour to their trucks. But they could still not break through. The viewpoint made it clear the huge challenge faced by these convoys. We read some witness accounts from drivers; they were absolutely terrified. Leaving the viewpoint, we drove slightly further down route one to the Castel. This was the site of the first Arab village conquered by the Israeli forces in the war. It played an important role in the war, in terms of boosting morale, even though the site went on to exchange hands a couple of times before being finally conquered. Here the Israelis killed the commander of the local Arab forces when he was by chance shot by a sentry – another significant morale boost. At close to 800m above sea level, this was an important vantage point on the Jerusalem road. 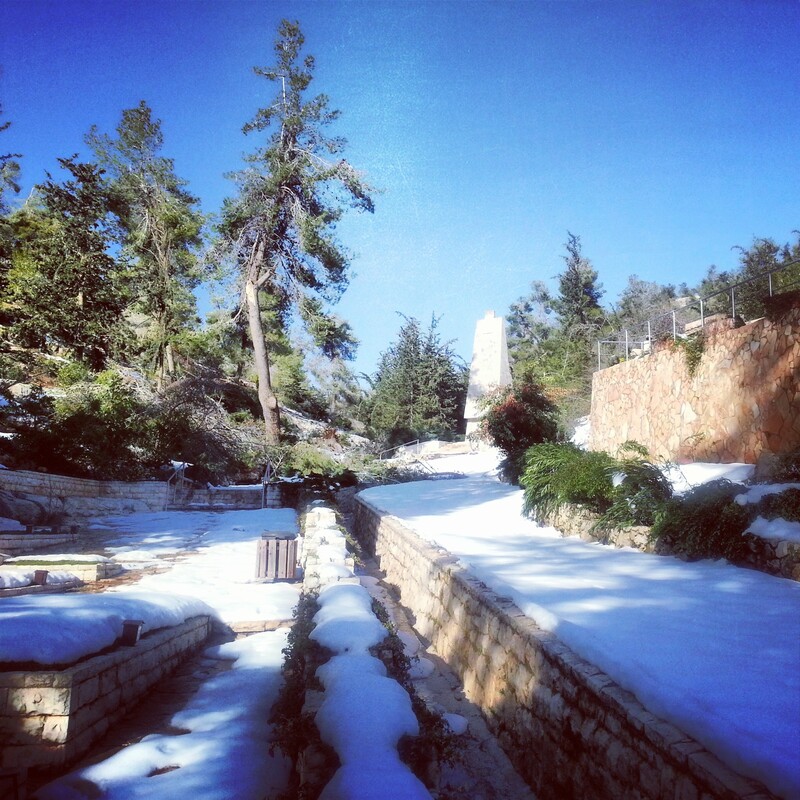 The site was still covered in a deep blanket of snow from the previous weekend, when Israel had suffered its worst storms in over 100 years. The snow had by now hardened but this was not going to stop Israelis from enjoying its novelty – there were plenty of kids frolicking around and a fair amount of adults also! 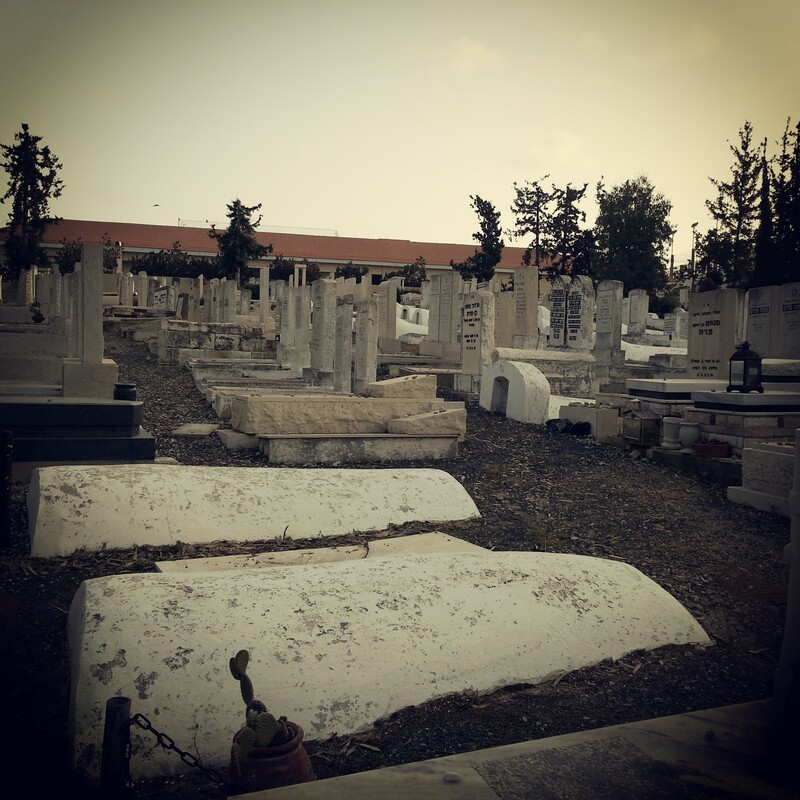 Turning back on ourselves, we made a short stop at the Kiriat Anavim cemetery. It seemed that we were the first to visit since the stop and there was still a lot of snow here also. Trees also lay all over the place, blown over by the strong winds. This is the cemetery of the Harel Brigade, part of the Palmach, who were responsible for fighting the battle to open and protect the road to Jerusalem. They suffered the heaviest losses of any part of the nascent IDF in the war; one third of the brigade was killed. We heard the stories of some of their most famous fallen, and reflected on the tragic losses of this period. Continuing north, we stopped at the Memorial for the Armoured Corps (Yad Lashiryon) at Latrun. 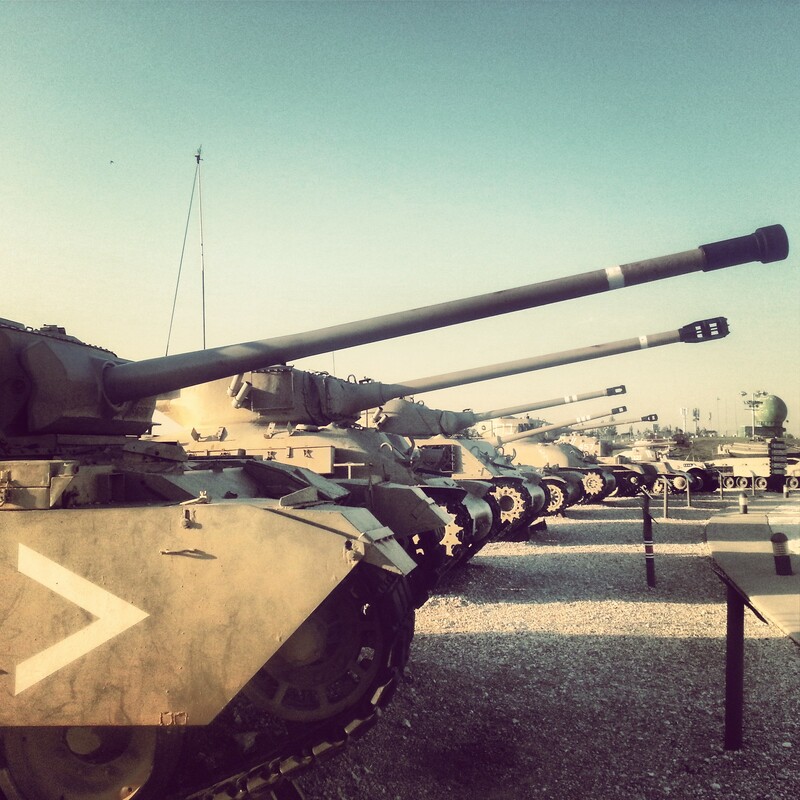 Now also a museum for tanks (which they claim has the biggest variety of tanks of any collection in the world), we learned about the formation of the Israeli armoured corps in order to try to take this hilltop in the 1948 war. 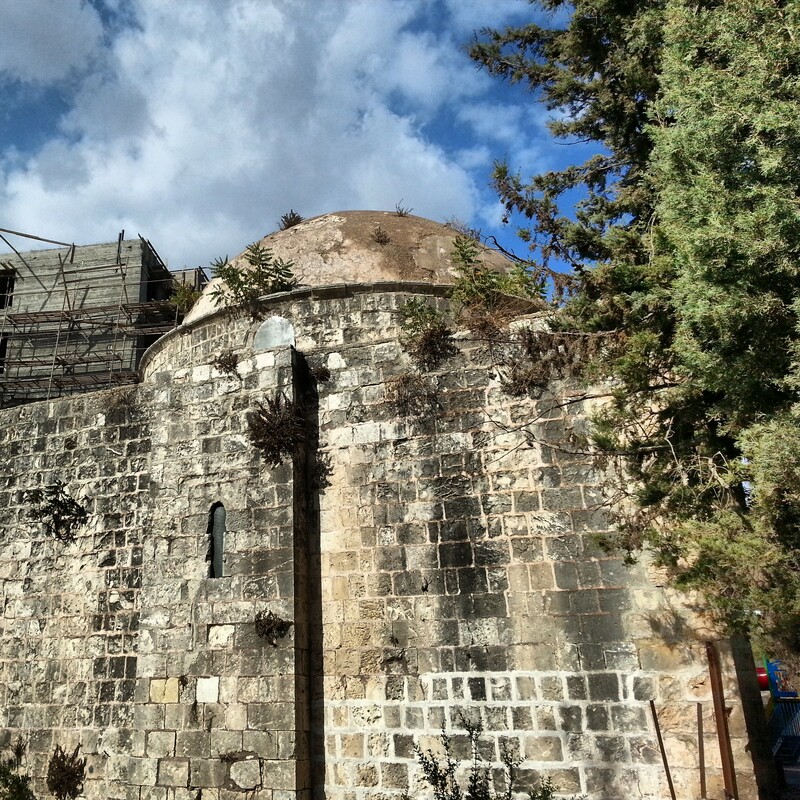 Here was a former British fortress, and taking it was essential in order to control the road to Jerusalem. Unfortunately the Arabs had also realised this and from May 1948 the area was swarming with soldiers of the Jordanian Arab Legion, the best trained soldiers in the region. 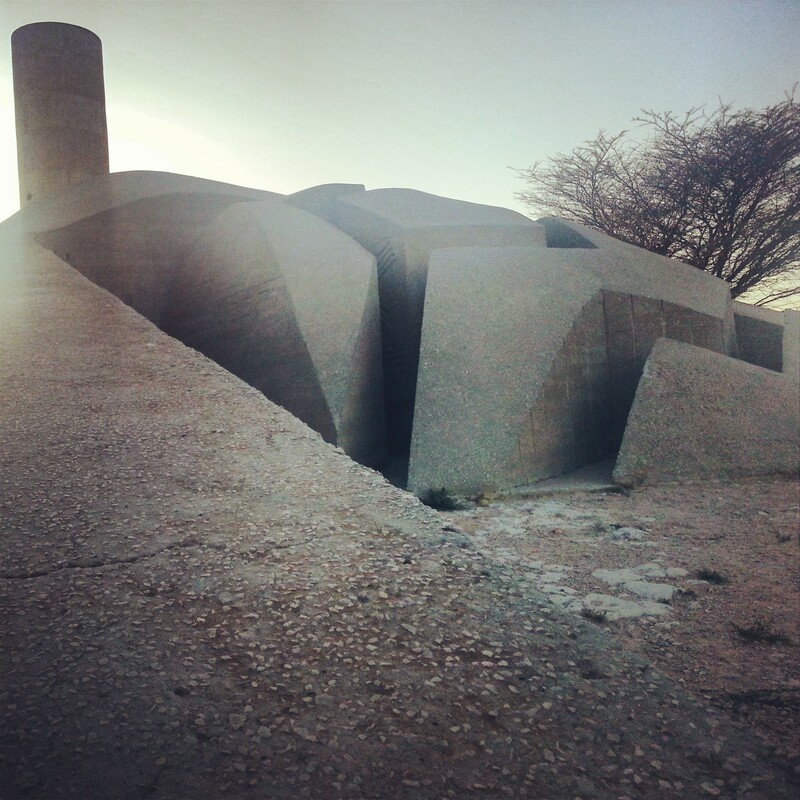 We had a quick tour of some of the tanks and visited the memorial, designed by the famous sculptor Danny Caravan. 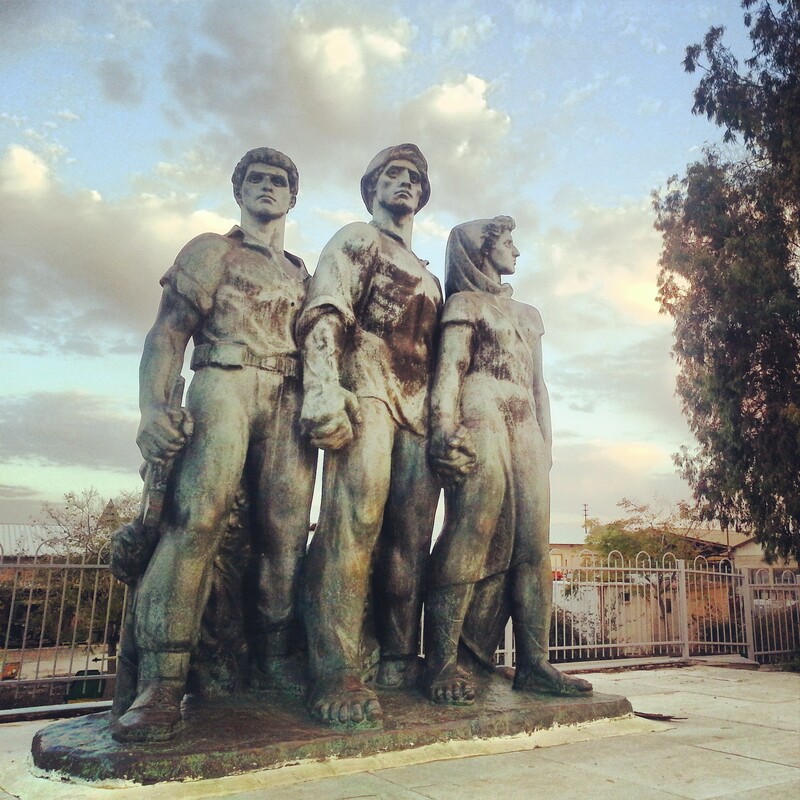 The Israelis fought five battles for Latrun, all of them tragic failures. Realising the futility of further attacks, they ingeniously built a by-pass around the area (and also that of the problematic Shaar HaGay). As they copied a technique used by the British in the East, this new route was known as the Burma Road. 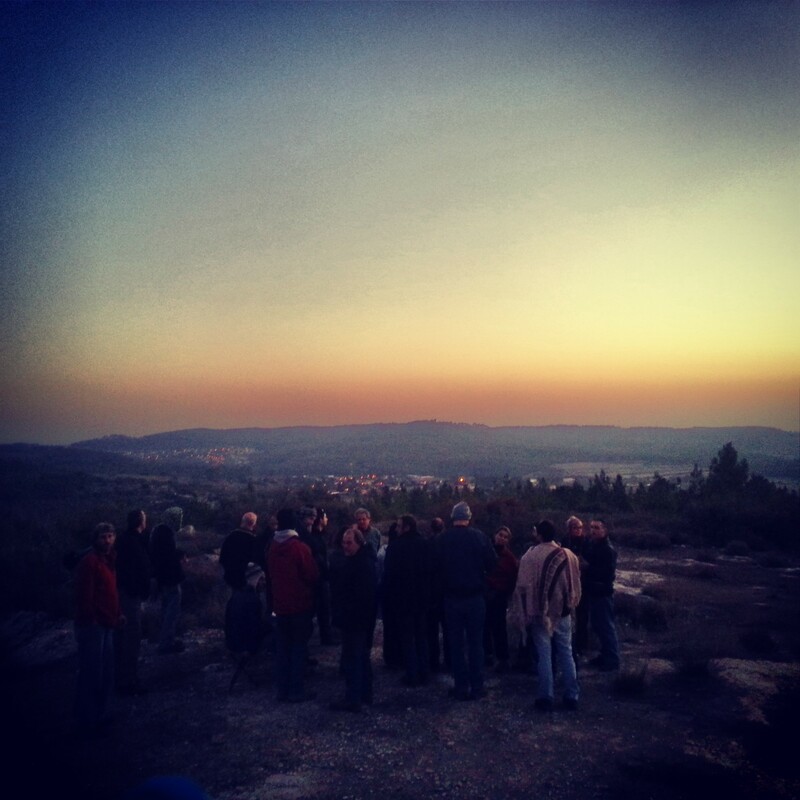 We relocated to a viewpoint near Neve Shalom whence we could better understand how the battles played out, and also the location of the Burma Road. With the construction of this new route, the siege of Jerusalem was broken, and later a new road was built connecting the area just west of Latrun with the area of Shoresh. With the Latrun and Shaar Hagay area remaining under Jordanian control until 1967, this became the road to Jerusalem in the interim. 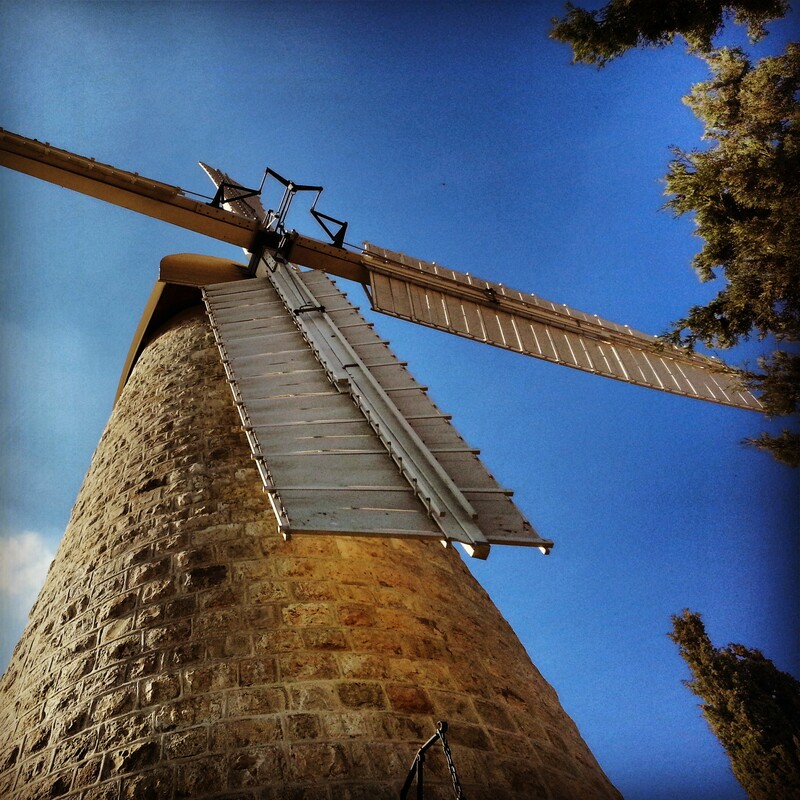 As part of our series of trips exploring the development of the modern city of Jerusalem (i.e. 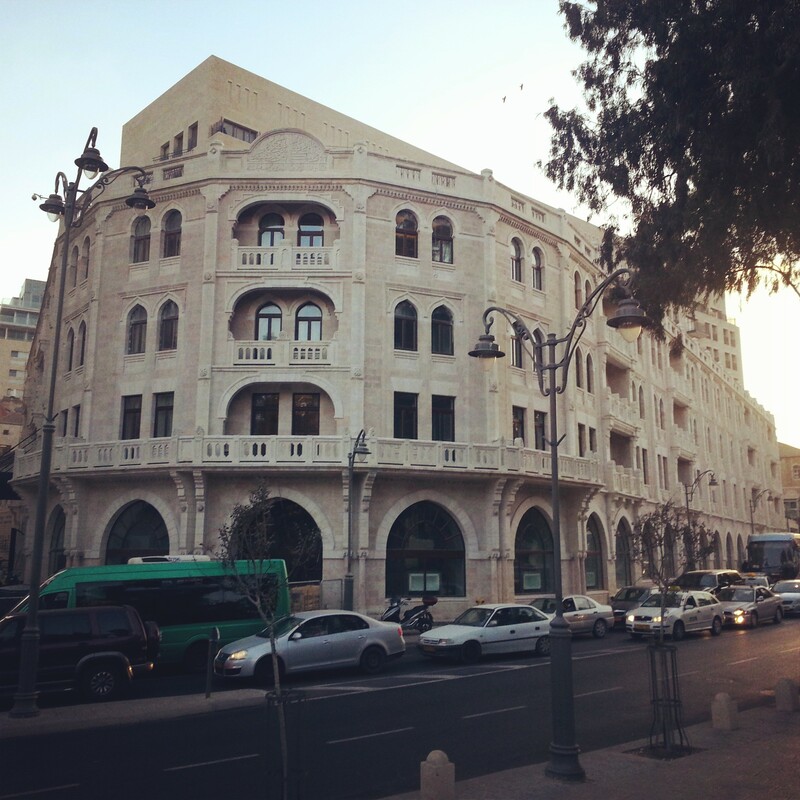 outside of the Old City walls), today’s tour was dedicated to buildings constructed during the period of the British Mandate, from 1920-48. As always, however, not everything fits into the tour’s theme. We took advantage of our location to begin the day at the Jesus Hilfe Lepers’ House. 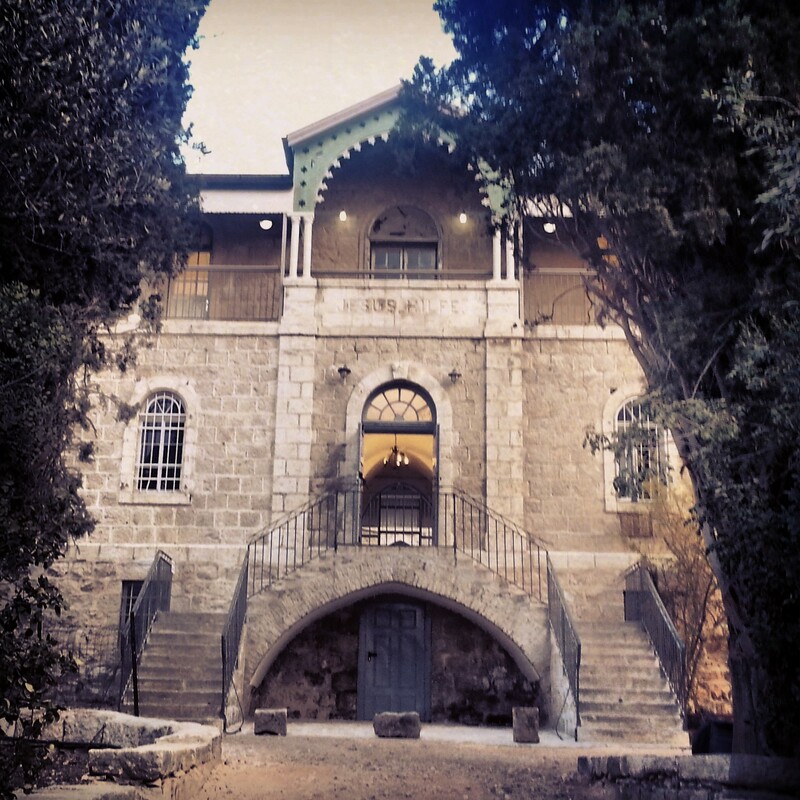 Built in the late 19th century and run by nuns, the building was constructed as a home for the numerous sufferers of leprosy, or Hansen’s disease, in the city of Jerusalem. After the establishment of the state it was taken over by the Ministry of Health and through their work there a treatment was developed for the disease. The last inhabitant left a few years ago and it is now a culture centre. 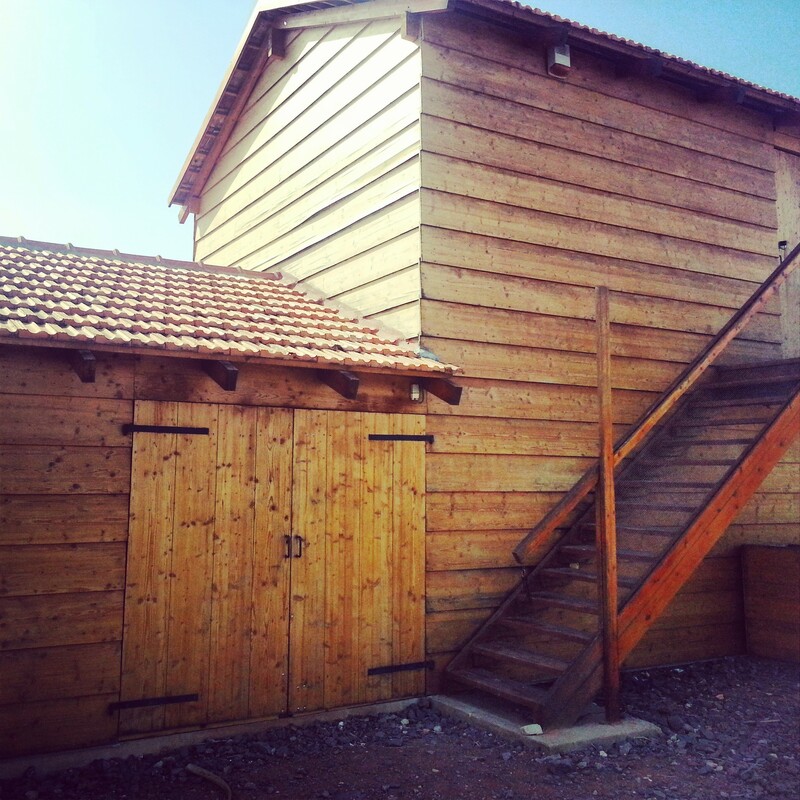 There is a small exhibition about the lepers’ home, and also about the history of the disease, which is not the same as the tzaraat in the bible, which is normally translated as leprosy. We then began a stroll around the neighbourhood of Talbiye / Kommemiyut. We learned that this period was typified by the construction of ‘garden neighbourhoods’, the idea being to keep traffic away from the centre of the neighbourhood, and maintain a tranquil atmosphere, as much as was possible. Our guide pointed out some of the grander buildings and told us stories of their inhabitants, as well as architectural features. We moved on into the neighbourhood of Rechavia, built at the same period. We noted the current home of the Prime Minister, and heard more stories about some of the inhabitants of the neighbourhood over the years. 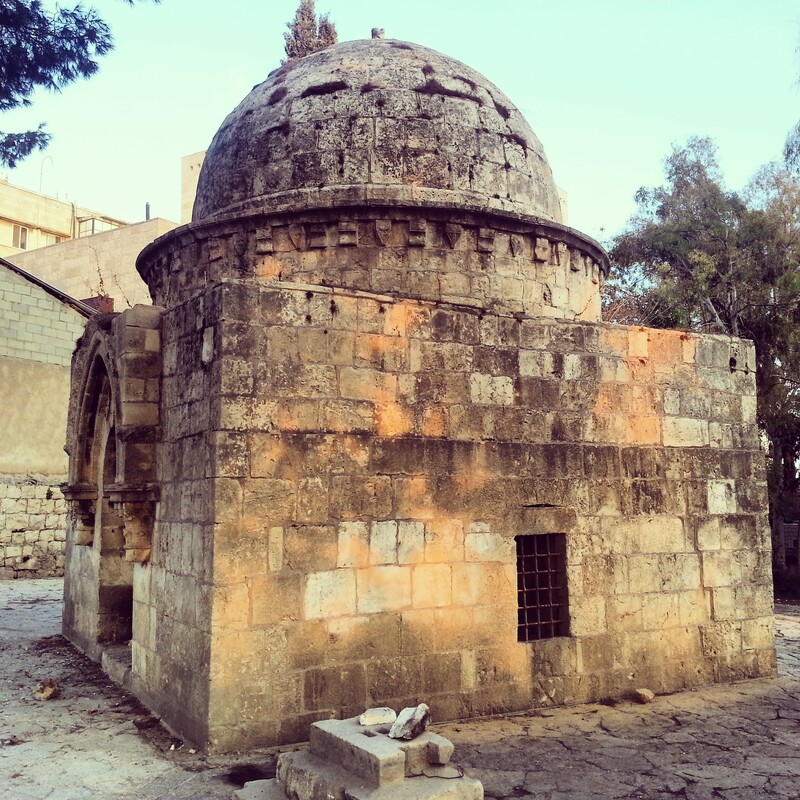 A somewhat unexpected break came in the visit to the Tomb of Jason. 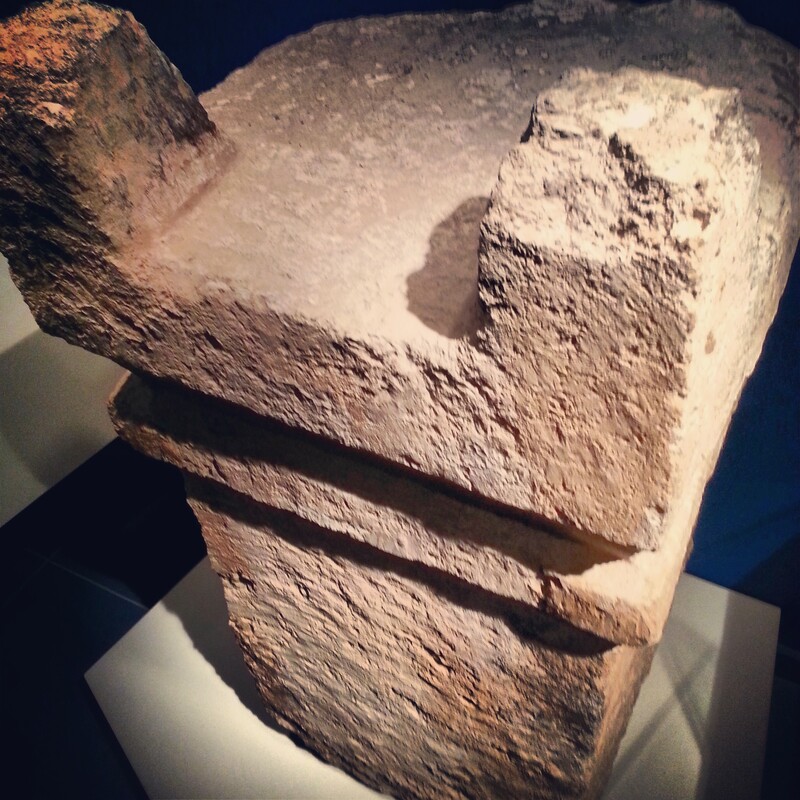 Discovered during construction in the area, it is the remains of a Jewish tomb from the 2nd temple period. In fact, there is very little to see, but what is interesting is the images of ships found painted on the wall inside. We don’t know who this Jason was, but given the dating of the tomb, together with its grand nature, some believe it belongs to the High Priest who wrote the second book of Maccabees. 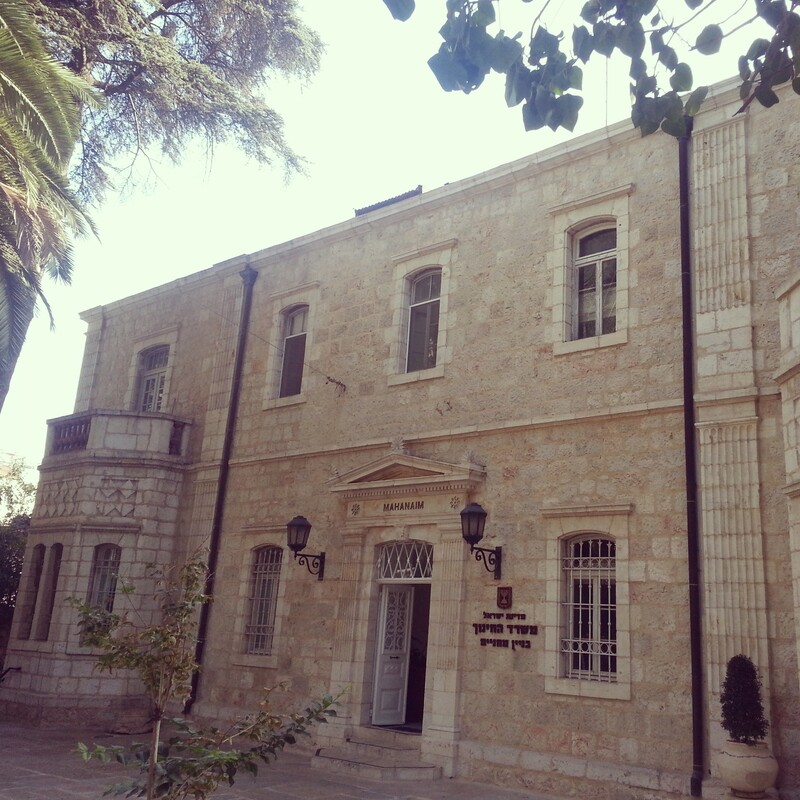 We continued to the Yad Ben Zvi institute. Yitzchak Ben Zvi, the second president of Israel, was a passionate researcher of the Land of Israel and the Jewish people. Housed here is his small hut, in which he made his home, and also a research institute established in his memory. On becoming president, he famously turned down the grandeur of a state home constructed for the purpose, preferring to remain in his simple hut. They don’t make them like that anymore! Our next stop of significance was at the National Institutions Building. 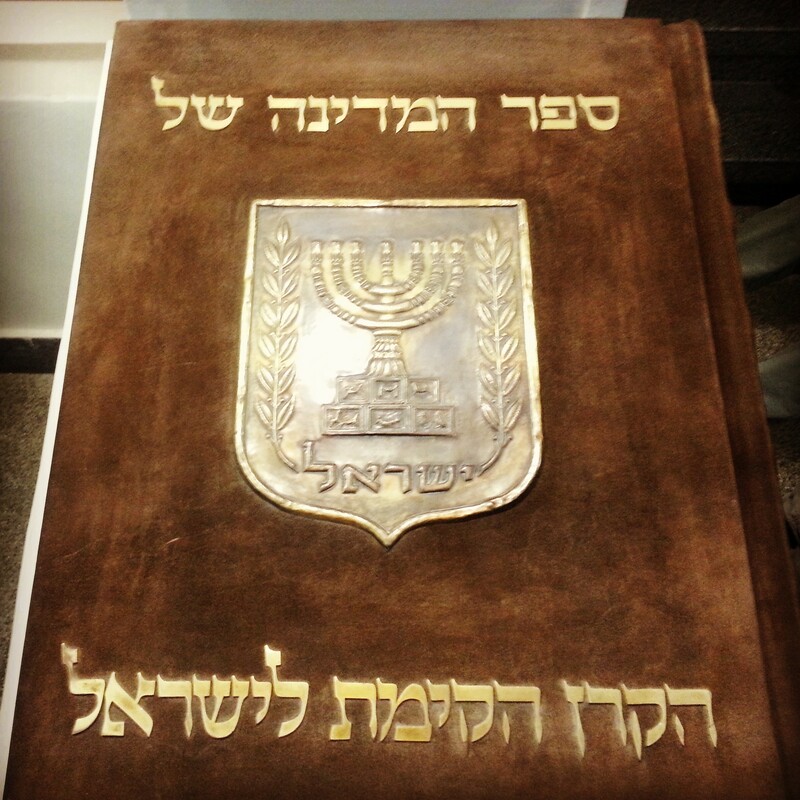 Opened in 1930, this was the first major building of the Zionist enterprise. 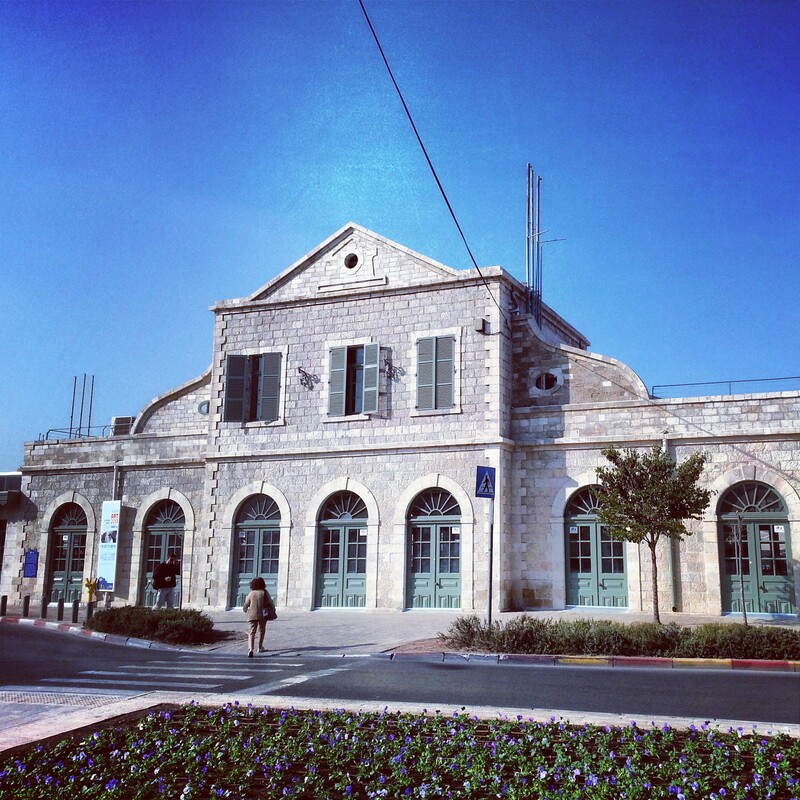 At the heart of new Jerusalem, it was designed to house the main institutions of the Zionist movement: the World Zionist Organisation, the Jewish Agency, the Jewish National Fund (Keren Kayement L’Yisrael) and the United Israel Appeal (Keren HaYesod). We learned about the history of these institutions, the key roles they played in the establishment and strengthening of the state, and the work they continue to do to this day. A further stop was also not from an earlier period, but it was a shame to pass the Ratisbonne Monastery without popping in for a look. 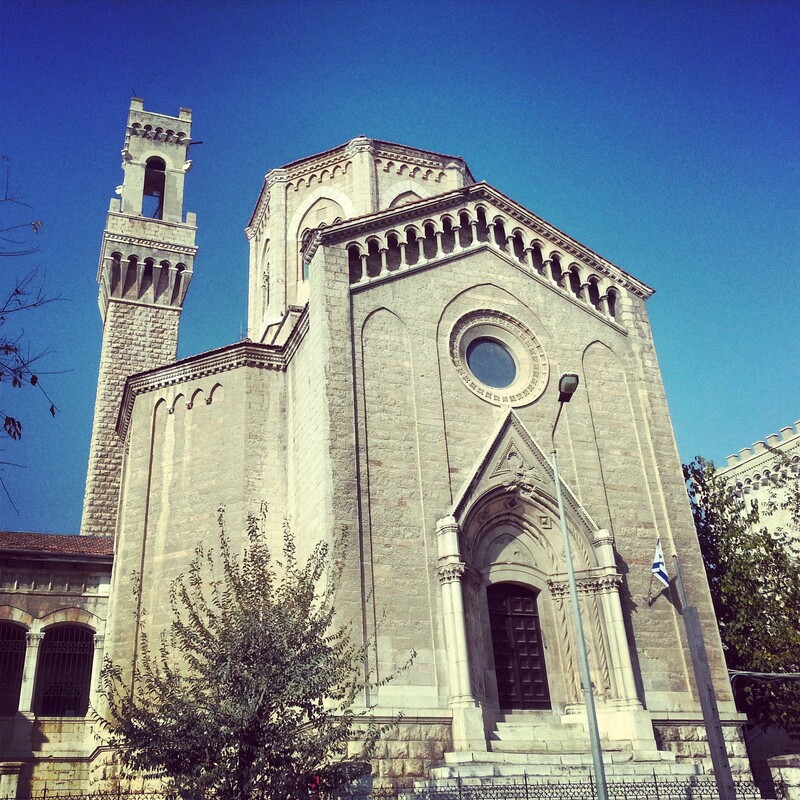 Founded by a French Jew-turned-Catholic in the mid 19th century, the idea was to generate a better understanding between Christians and Jews, albeit with an ultimate objective of proselytising. 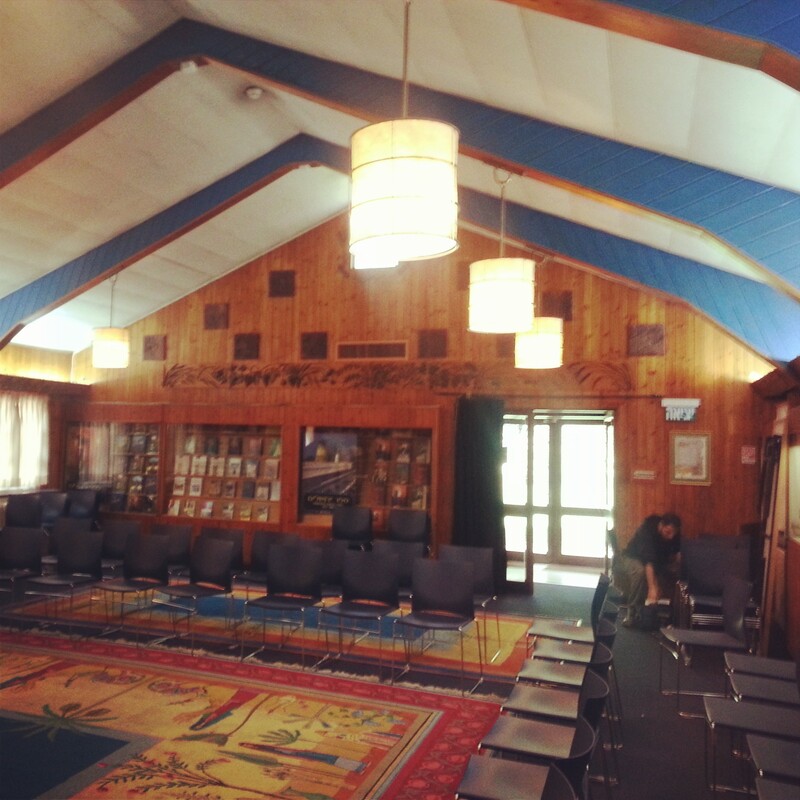 Today, the proselytising has taken a backseat, and it is a place for Christians to come and study Hebrew and Jewish texts, within the environment of Jerusalem. 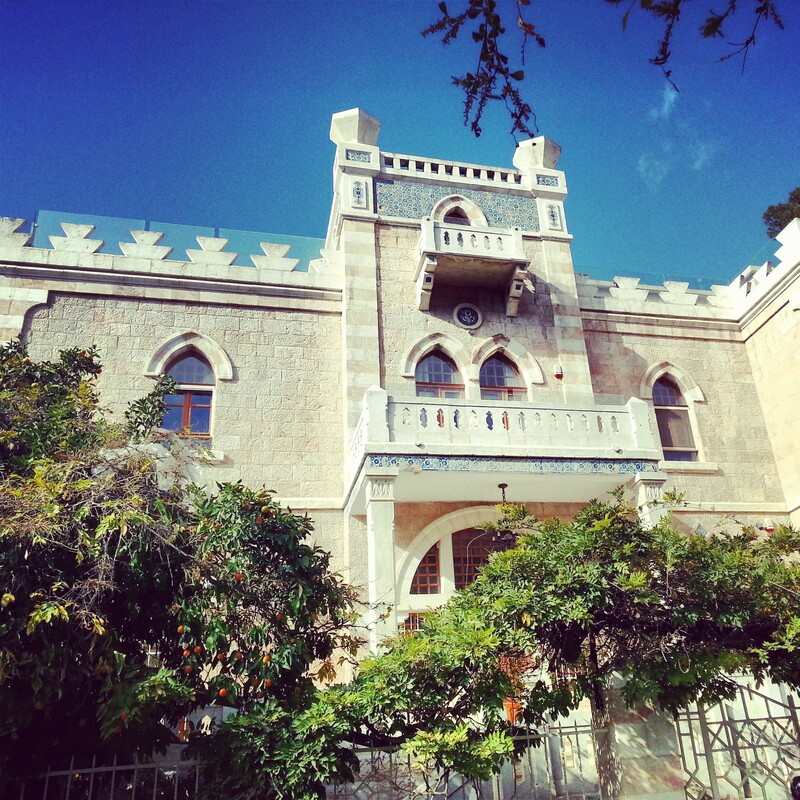 Our final stop of the day was at the original home of the famous art school, Betzalel. 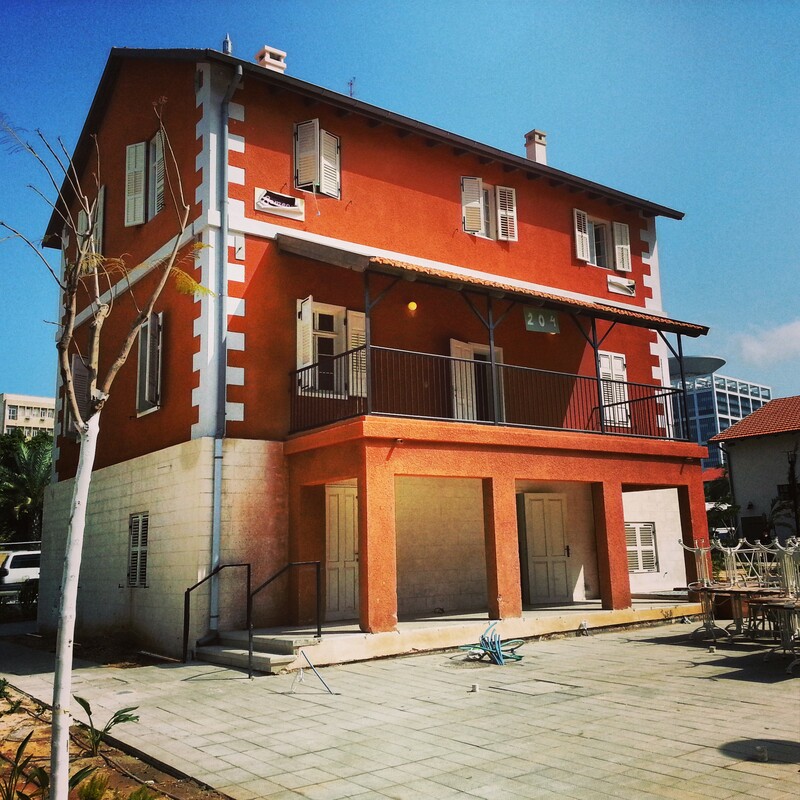 Named after the biblical designer of the Tabernacle (Mishkan), this was the place where under Boris Shatz a group of talented artists attempted to create a new Jewish national art. They did so by mixing traditional Jewish motifs with those of Assyria and Mesopotamia, also using the physical features of the Land of Israel as an inspiration. Although the main campus of the school has moved, it still maintains a presence at the site, and remains the leading art school in the country. 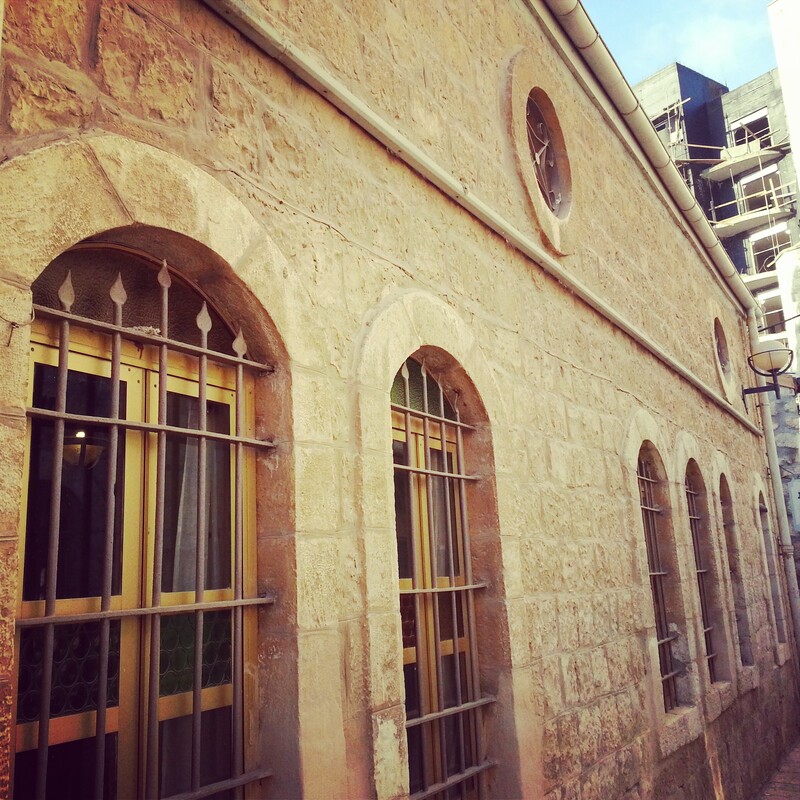 The building is also now used as a sort of community centre for artists in Jerusalem which also houses exhibitions and has a delightful little cafe. Worth a visit if you are in the area! We have been in Jerusalem a lot of late and it has been great to discover so many of its secrets. We won’t be back now for 6 weeks or so – expect more reporting from trips in the north and centre of the country in the upcoming updates.